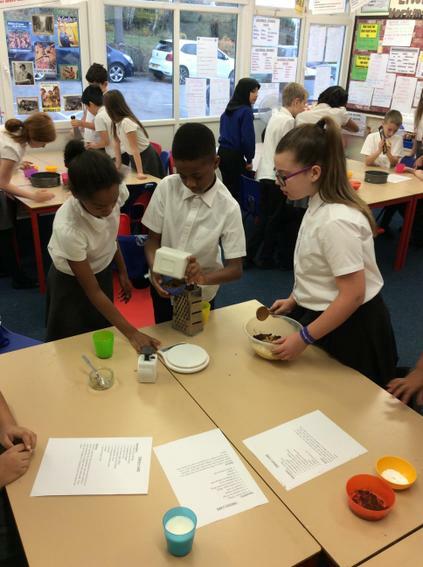 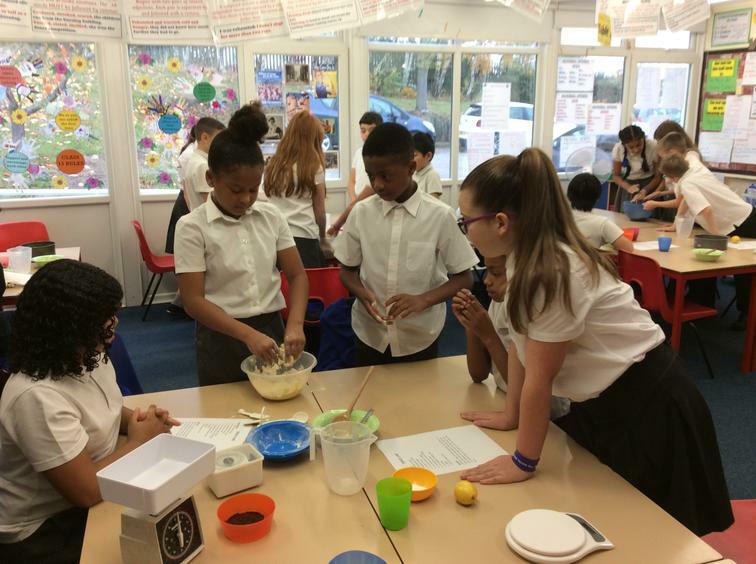 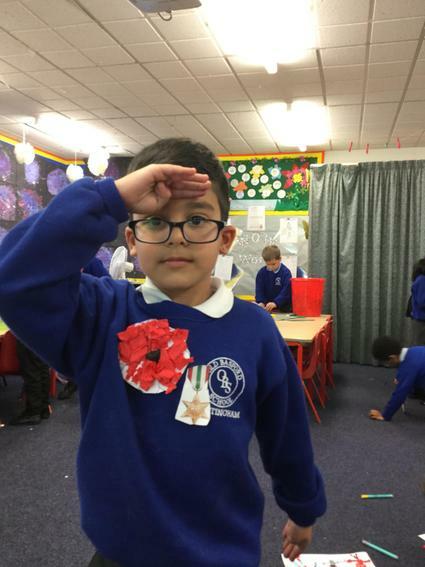 At Old Basford School we have a broad and balanced curriculum in each year group but wish to enhance the children's learning with a variety of local, national and international events and celebrations. 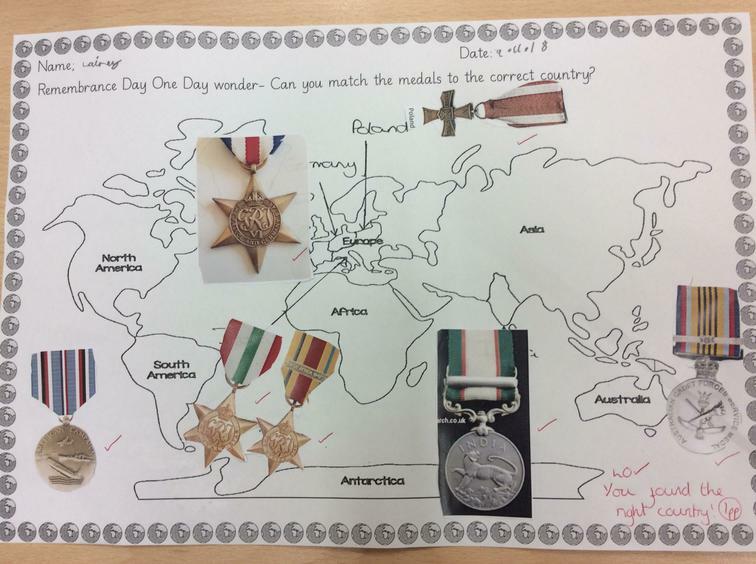 It is with this objective in mind that we have introduced half- termly enrichment days called 'One Day Wonders'. 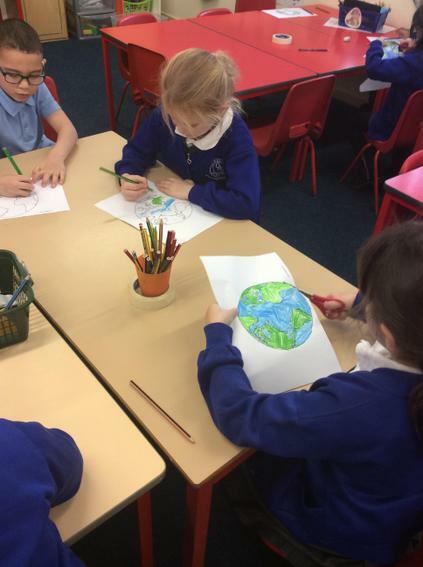 These days will allow all children throughout the school to have opportunities to develop their knowledge and understanding of the world around them. 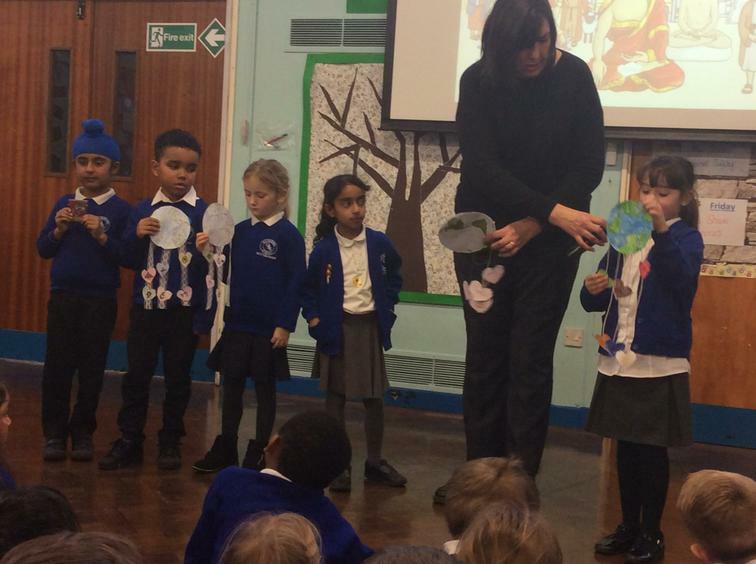 On the following dates the whole school will experience different creative activities on the same theme. 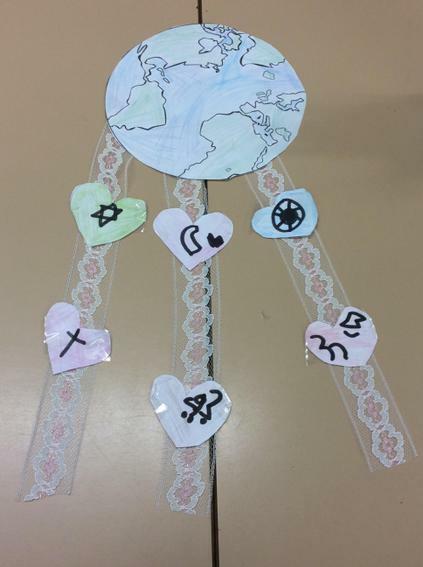 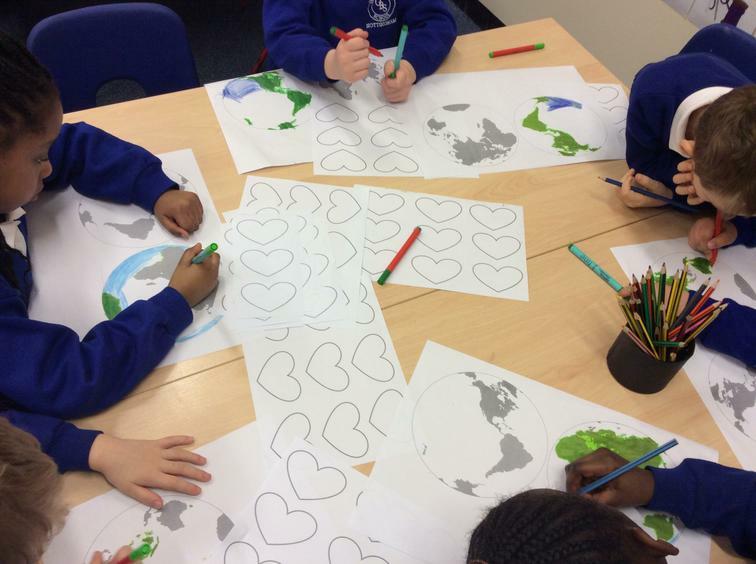 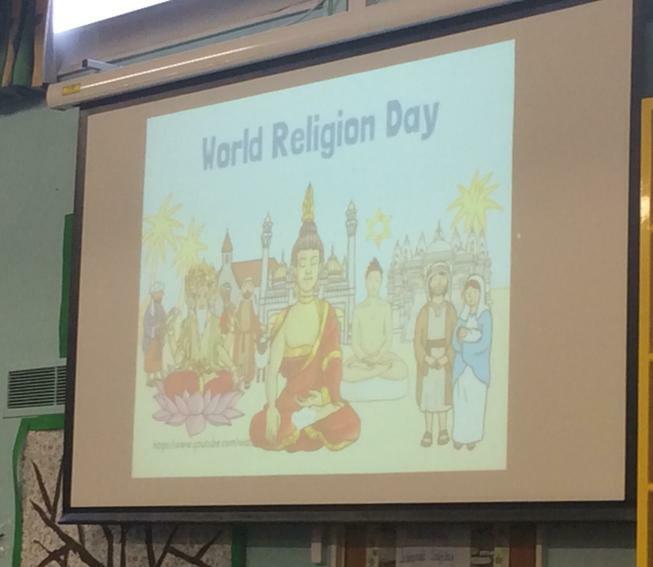 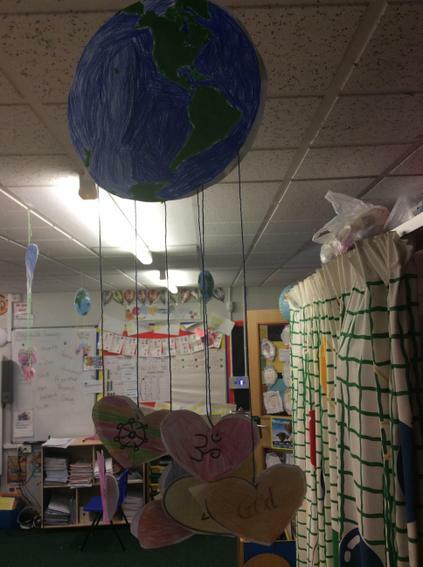 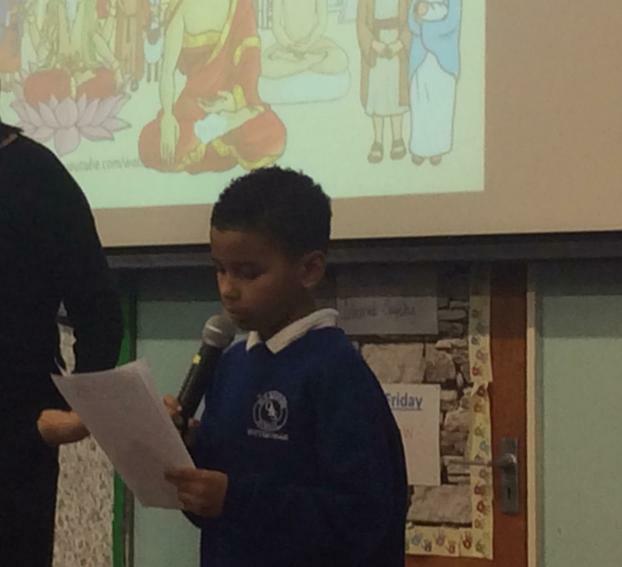 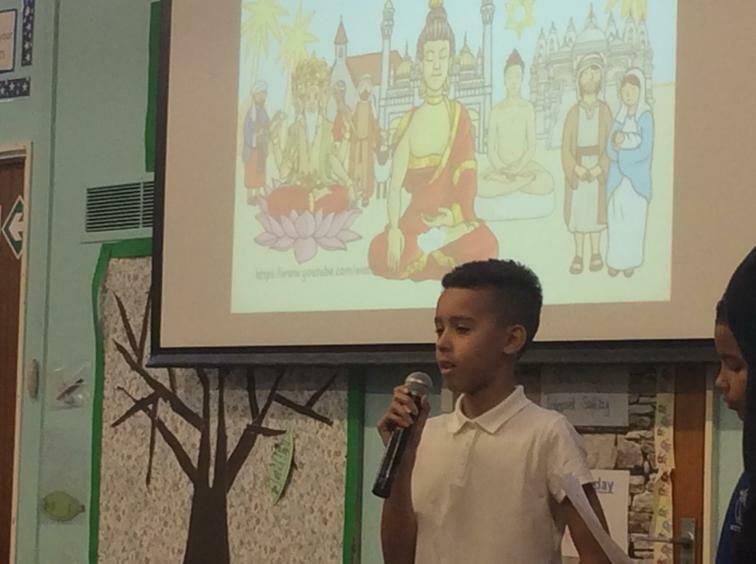 On Monday 21st January, we celebrated World Religion Day at school. 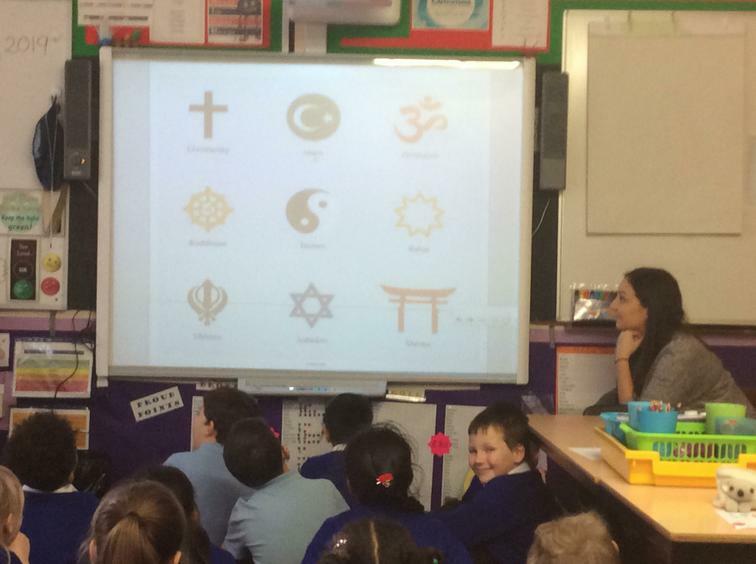 We looked at the 6 main religions of the world and looked at their similarities. 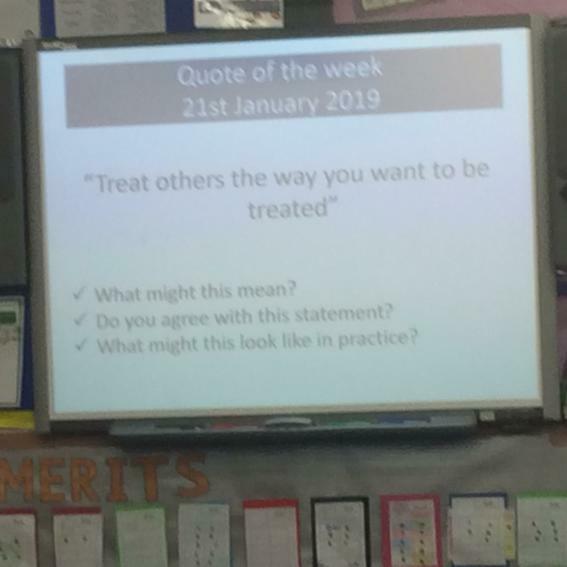 We noticed that there was one common message running through them all- treat others as you would like them to treat you. 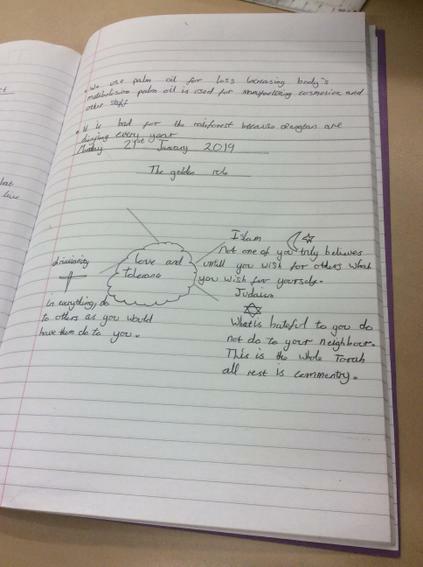 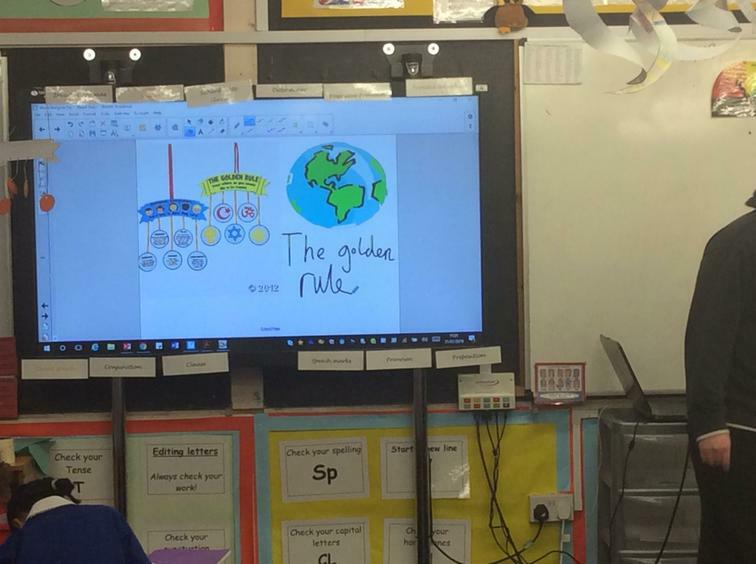 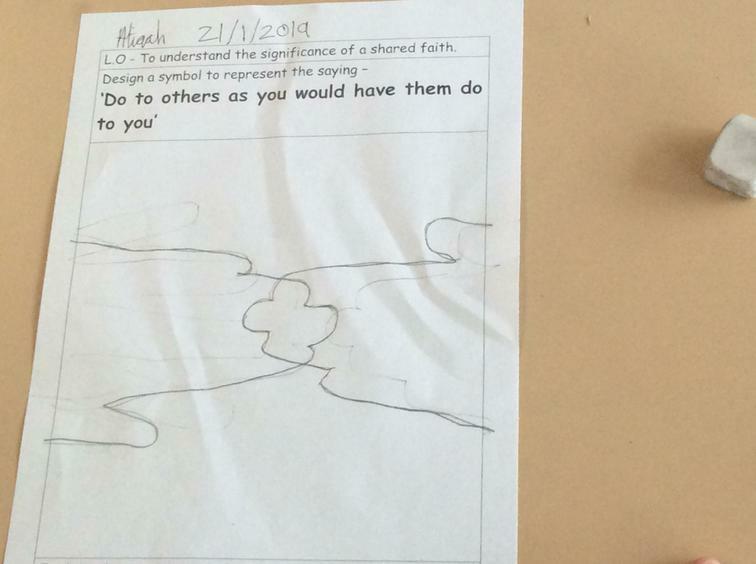 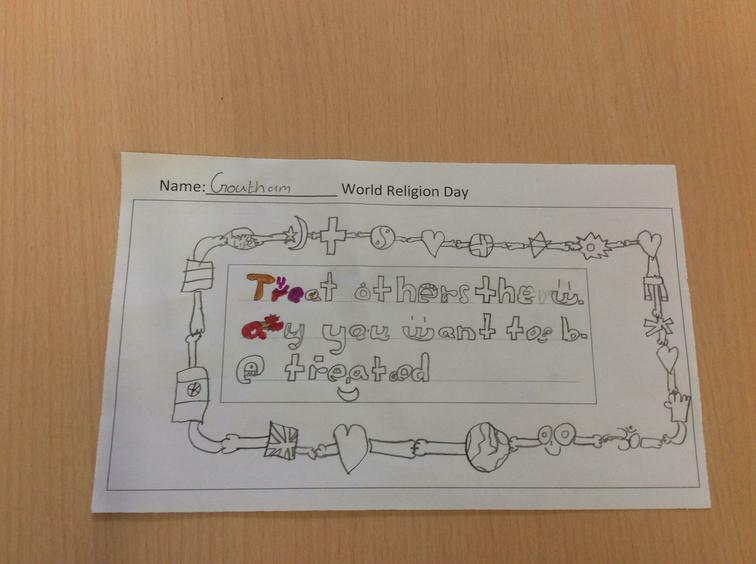 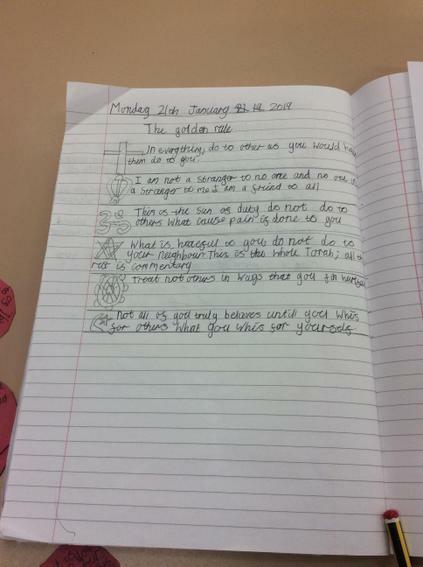 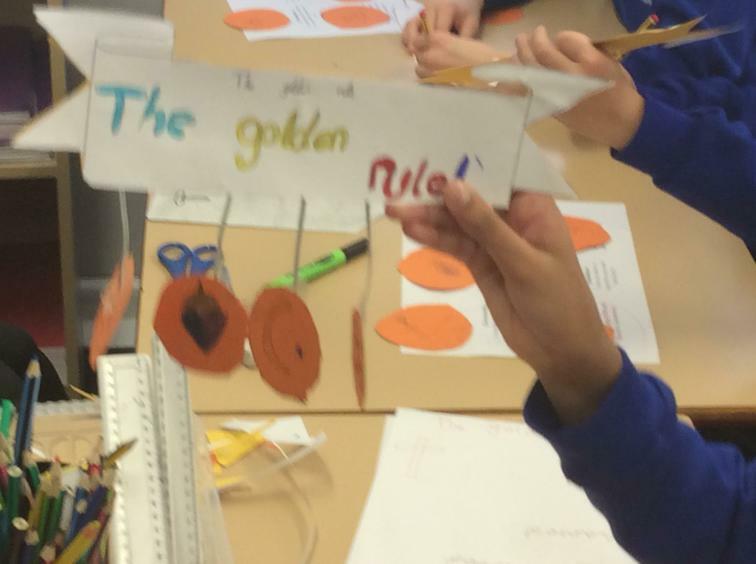 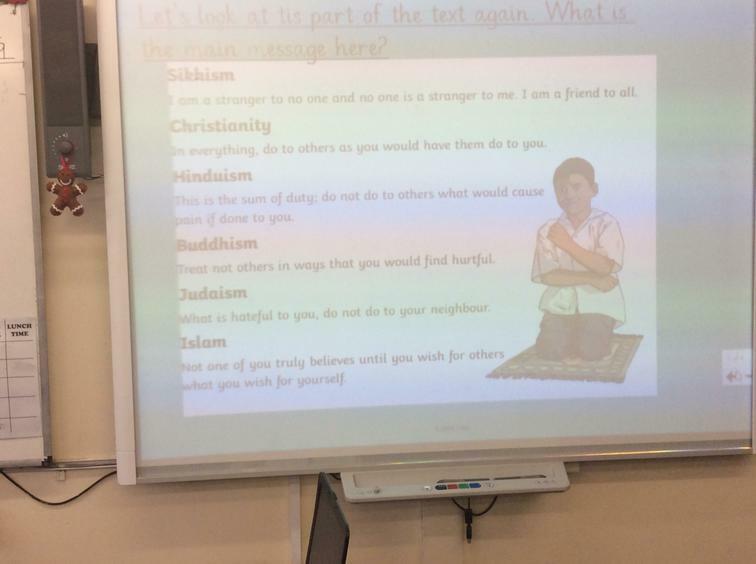 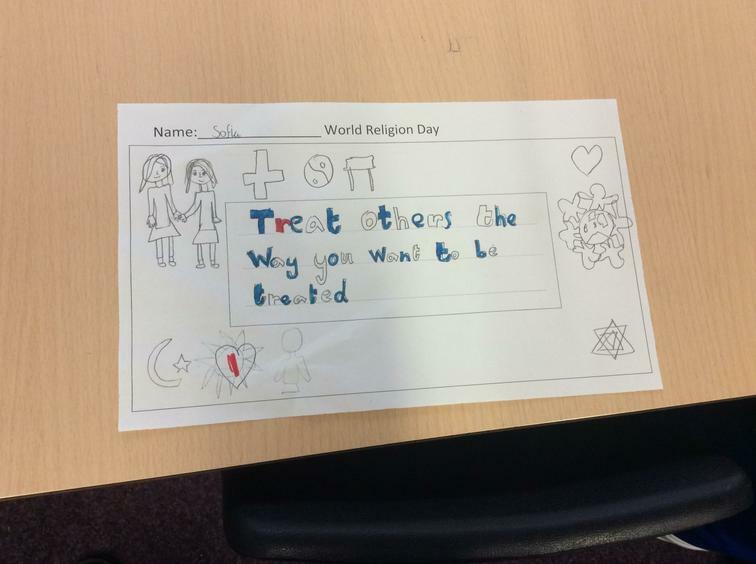 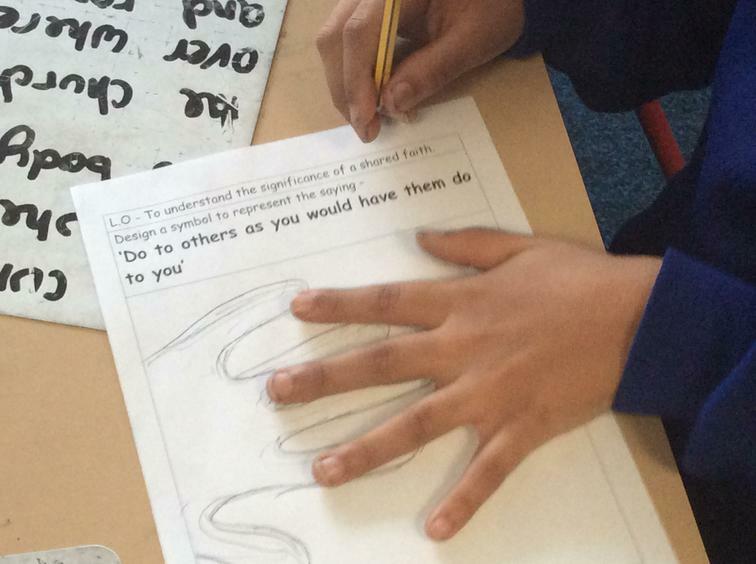 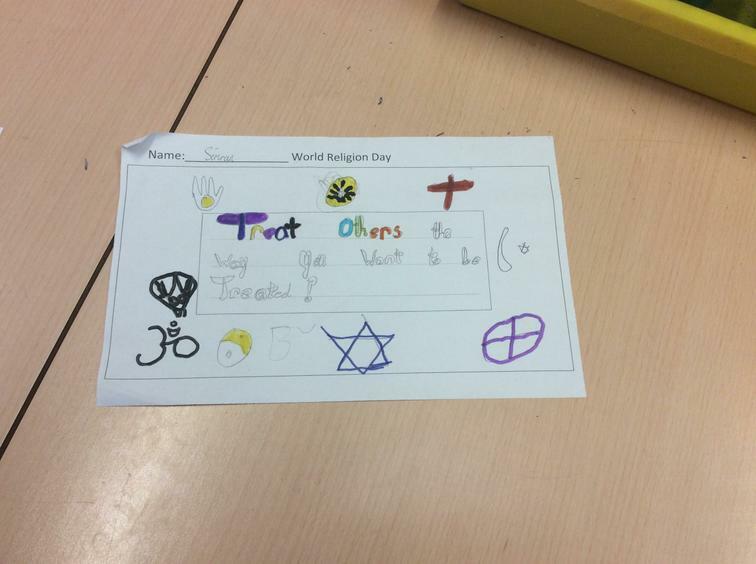 We learned that this 'Golden Rule' is one of the main aims of World Religion Day. 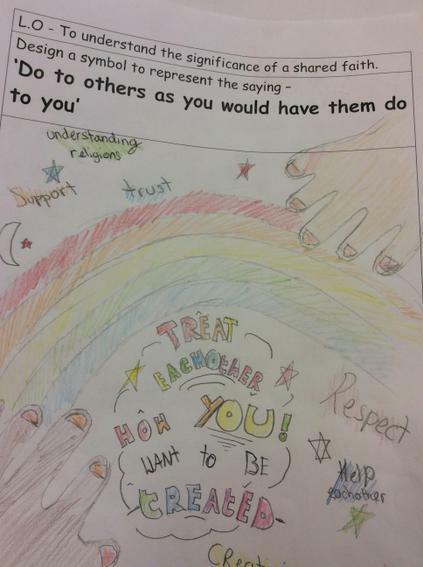 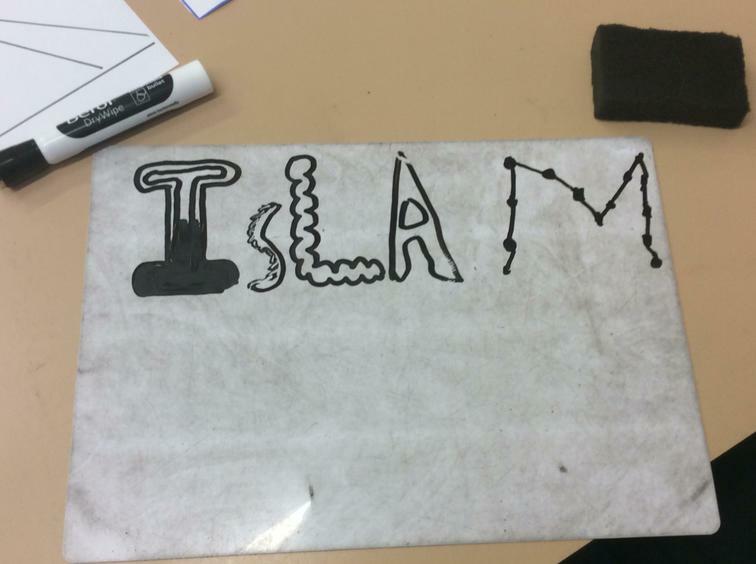 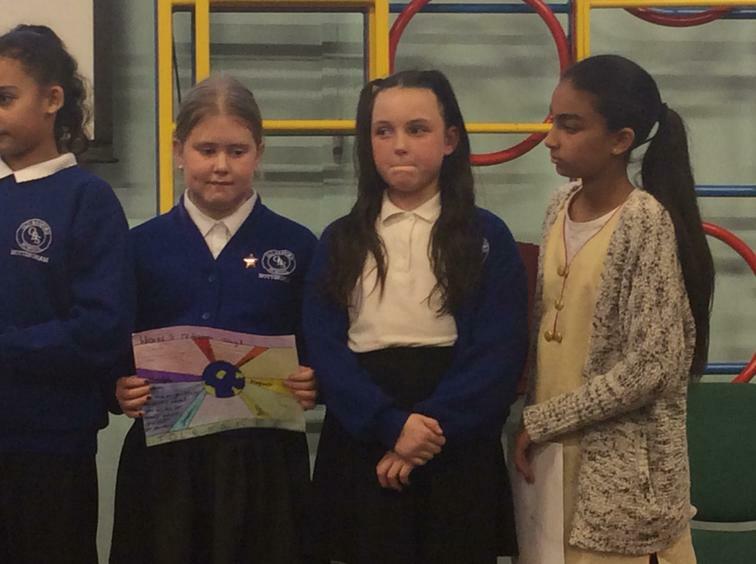 We also learned that the other aims are to promote respect, tolerance and unity. 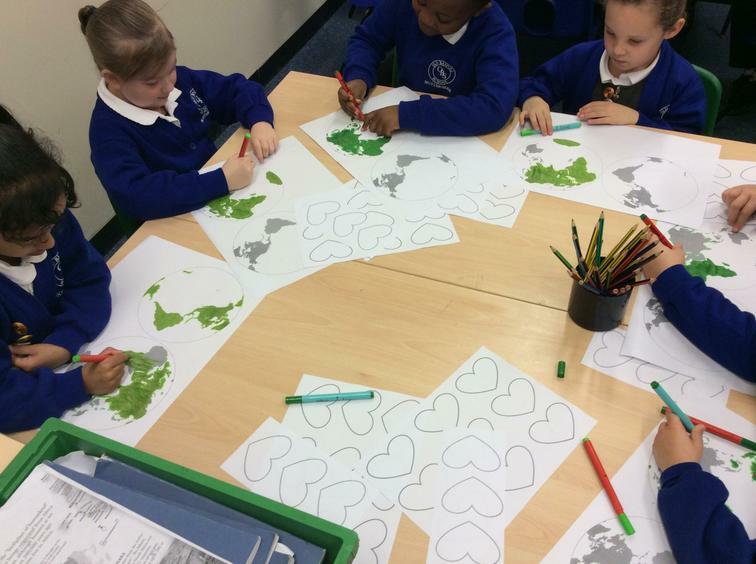 The children really enjoyed having discussions around these issues. 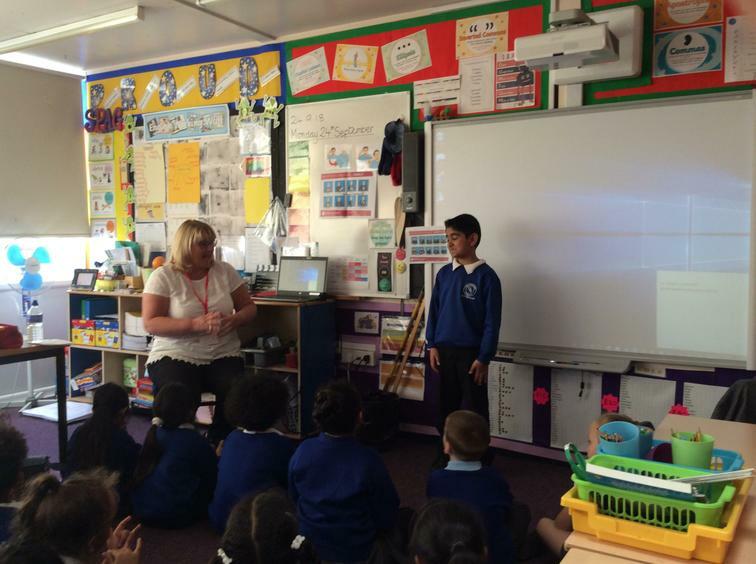 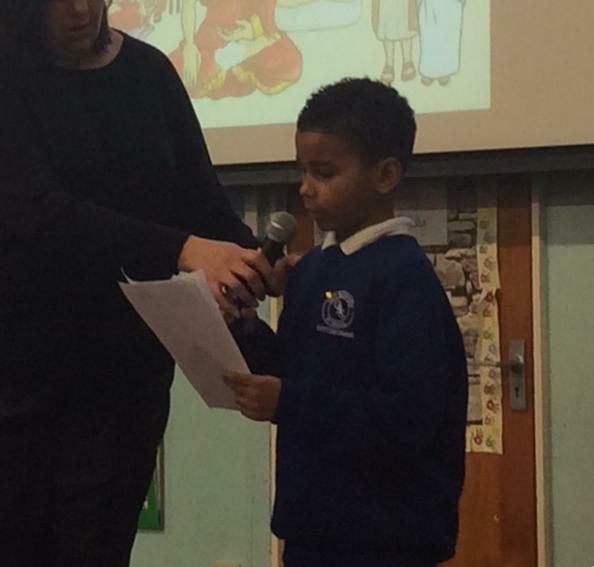 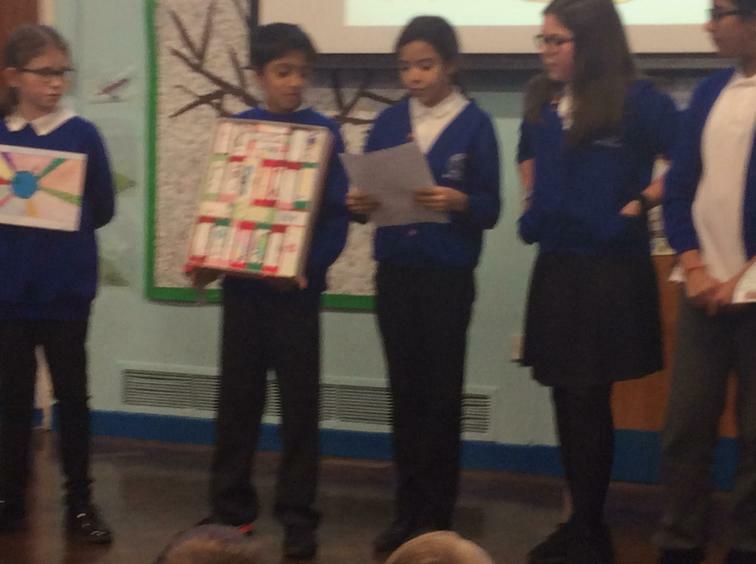 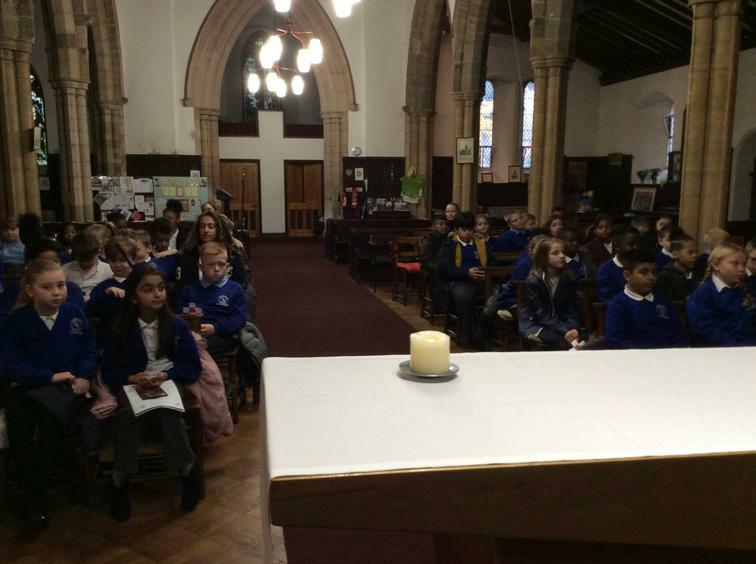 Lots of children who have faith enjoyed sharing their experiences with their classmates. 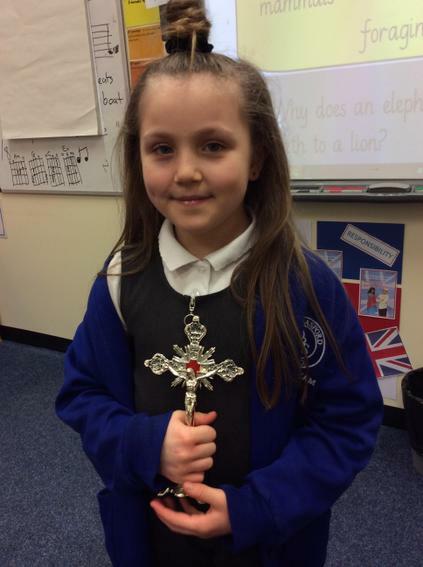 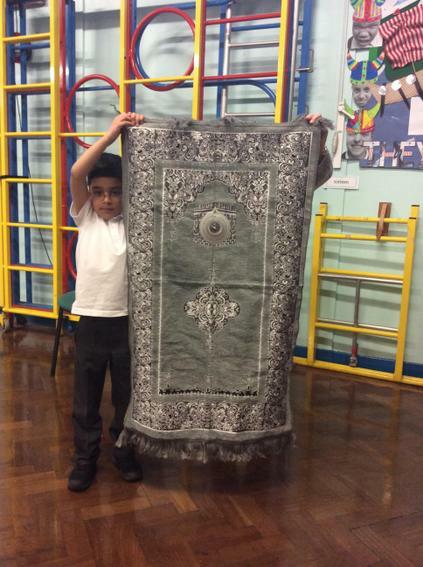 Some children brought artefacts from home to help them with their presentations to the class. 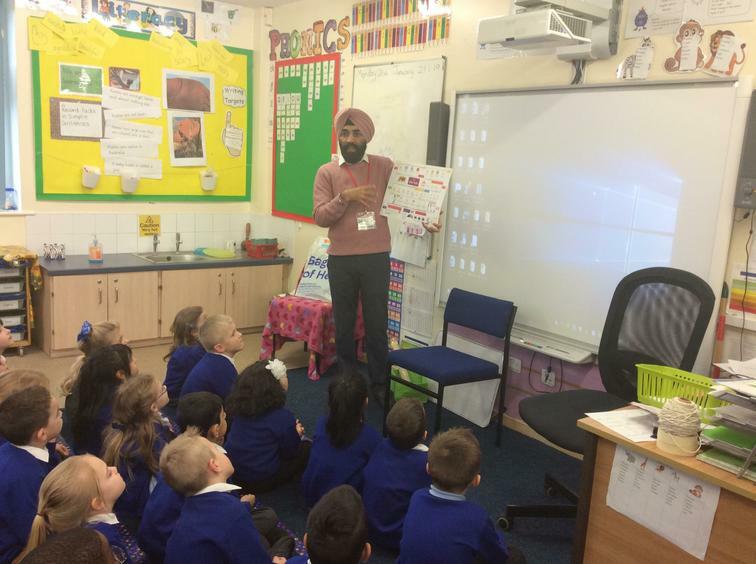 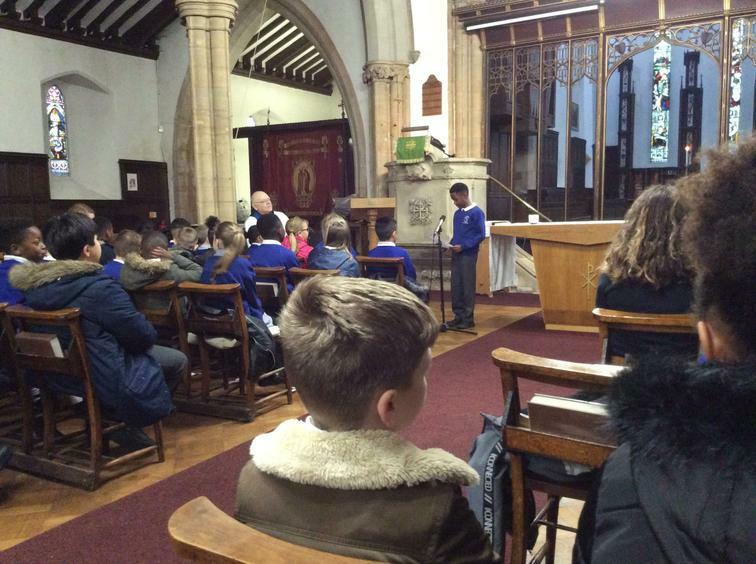 We were lucky to be joined by some parents who also shared their experiences- Reverend Pile from Basford Baptist church, Mrs Pile, Mrs Finn and Mr Walia- a great big THANK YOU to them for giving up their time to be with us. 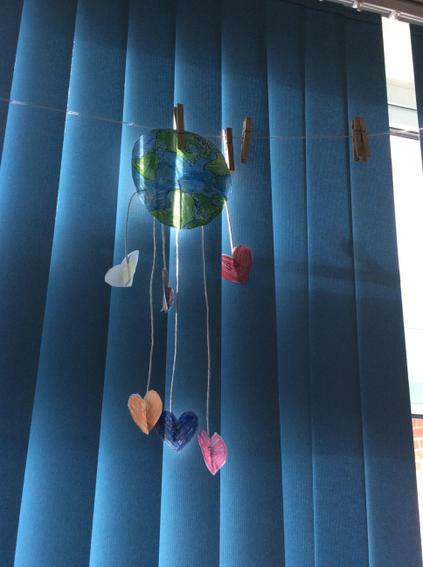 We used the themes of the day to inspire our creativity and made mobiles, posters, created our own symbols, artwork, etc. 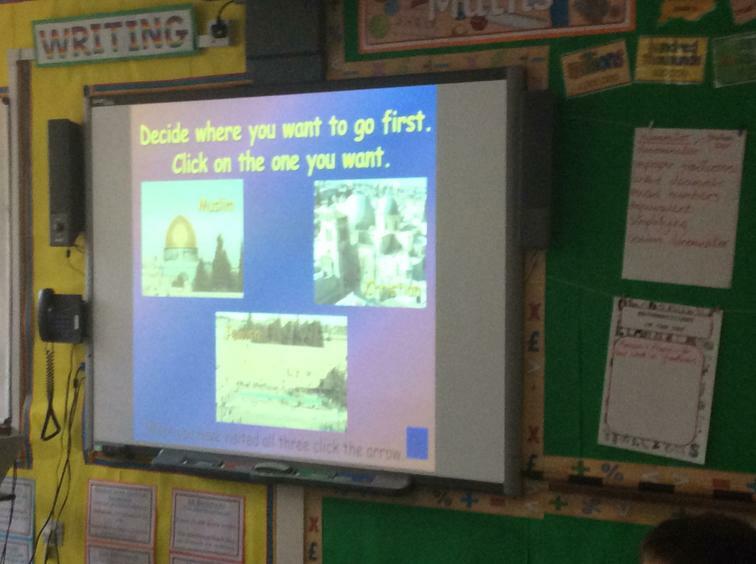 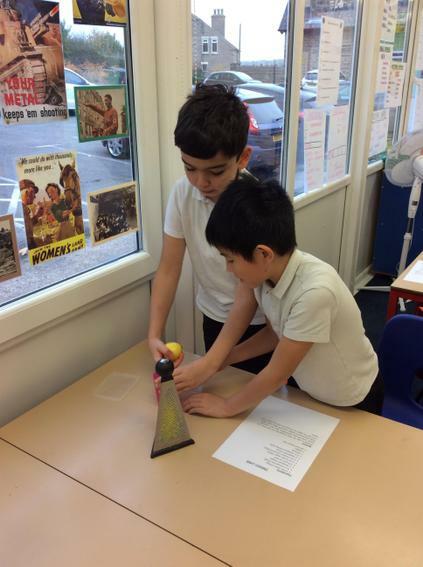 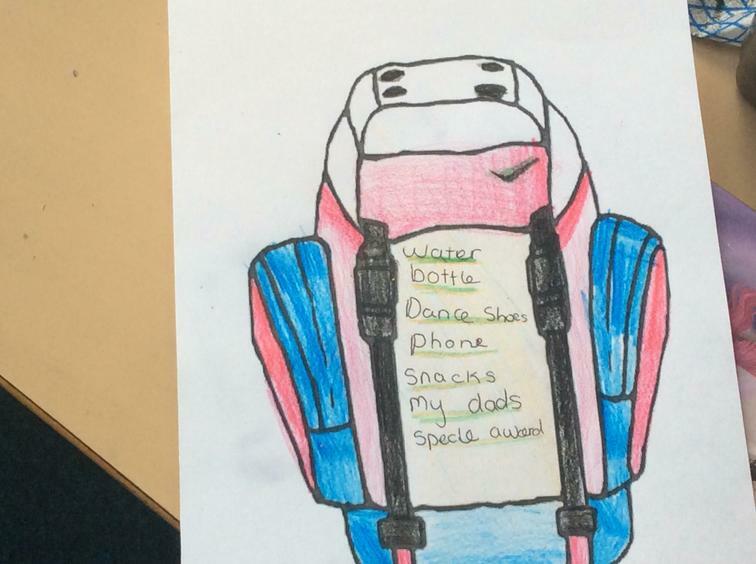 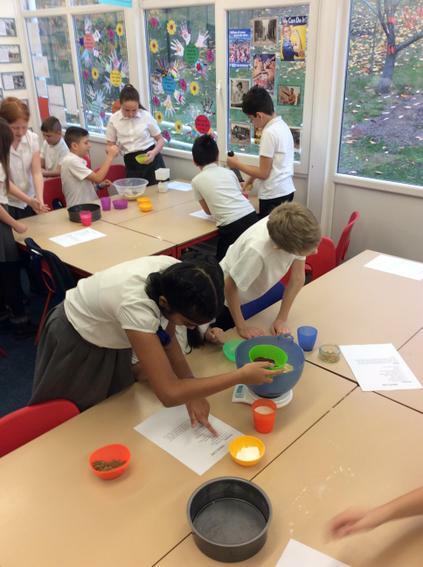 Year 5 linked the idea of 'Pilgrimage' and looked at how this is a common theme amongst some religions and then thought about what they would pack if they were going on a pilgrimage. 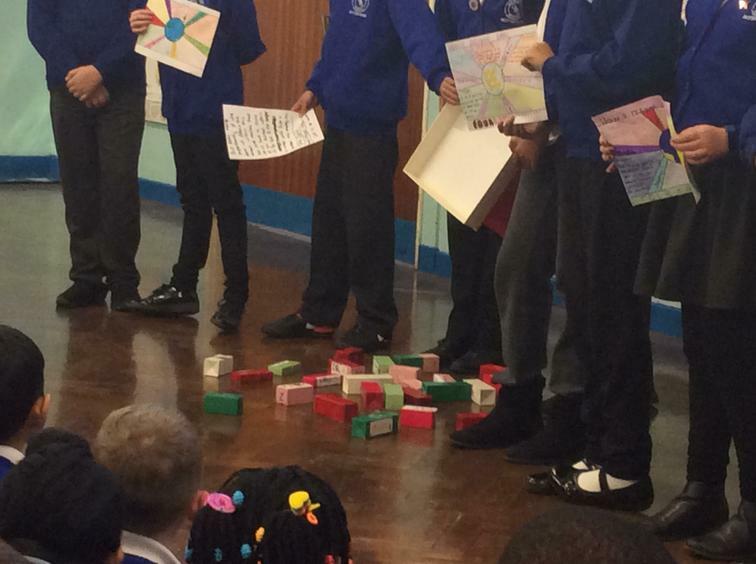 Year 6 had a very creative idea by using interlocking blocks that represented unity and togetherness, with each box having a design around a relevant word. 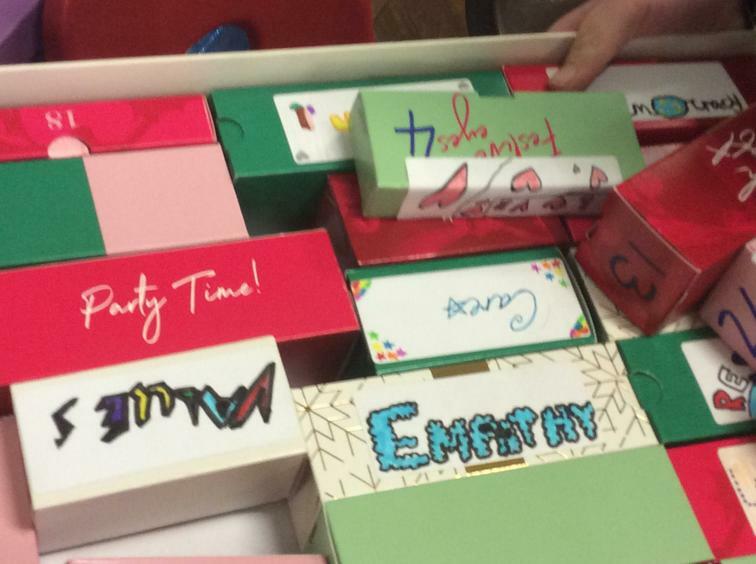 If the box lost a piece then the whole would be incomplete as the world would be incomplete without these emotions and thoughts. 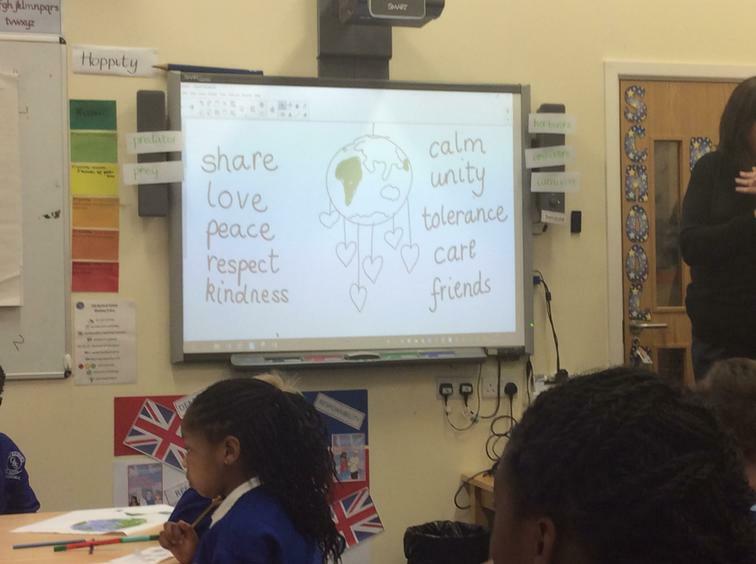 At the end of the day we gathered together to look at, share and celebrate the highlights of the day. 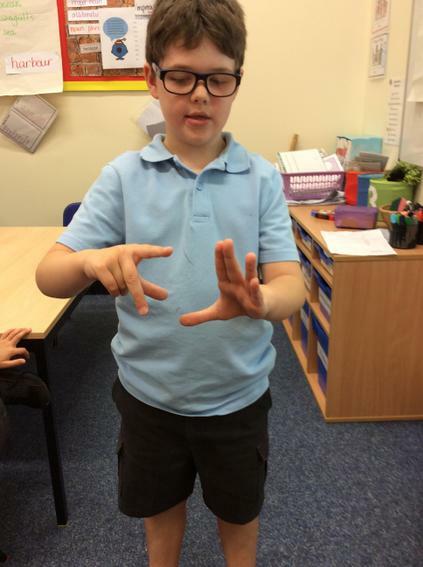 Take a look at the photographs below that showcase some those highlights. 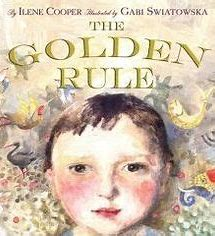 Please look at this story on YouTube which explains 'The Golden Rule' beautifully'. 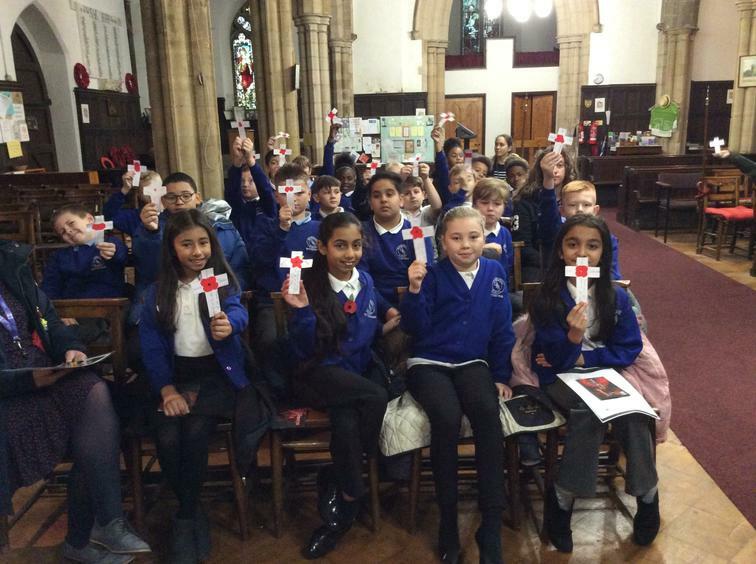 On Friday 9th November Old Basford held its own event commemorating the 100th anniversary of the end of World War 1. 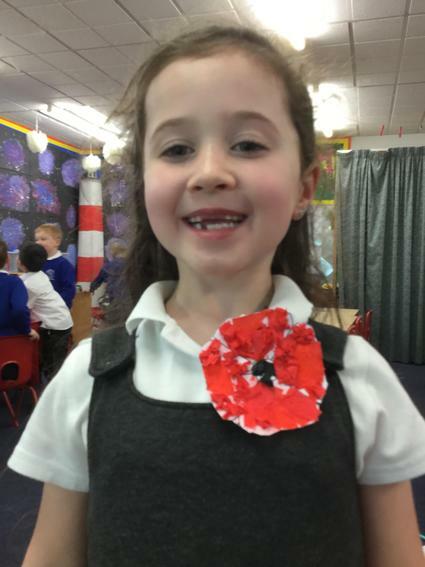 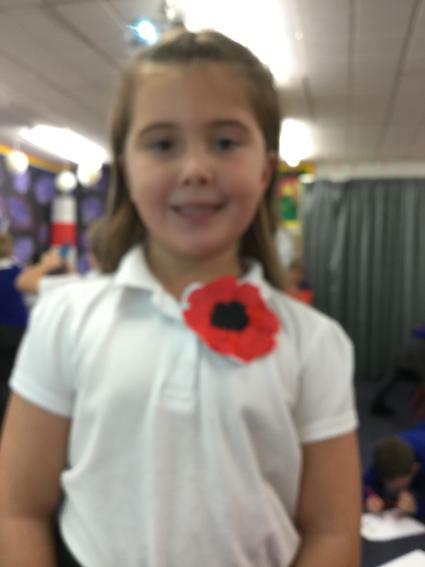 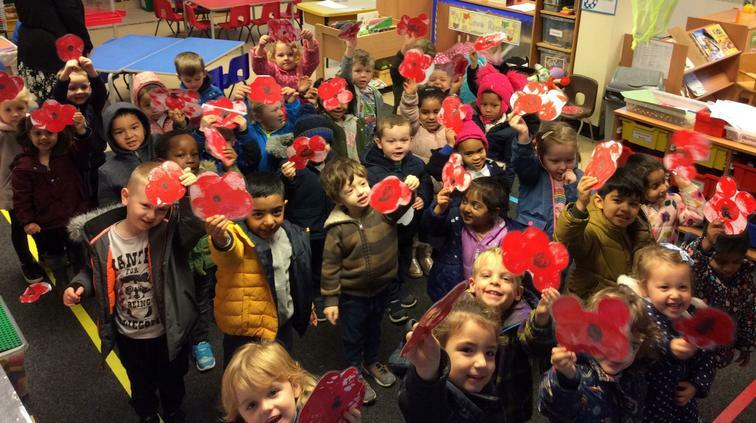 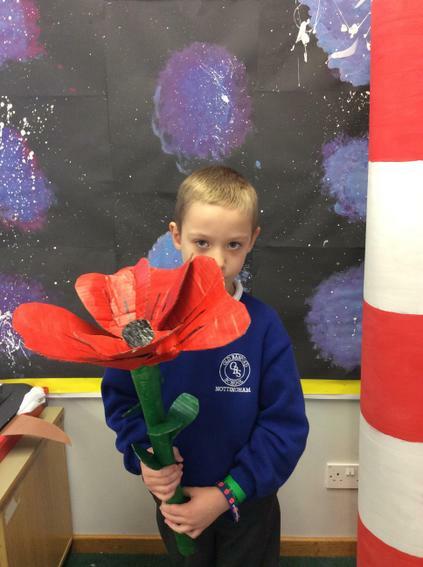 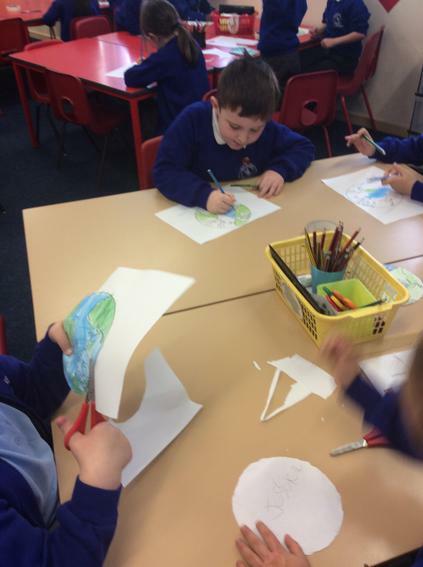 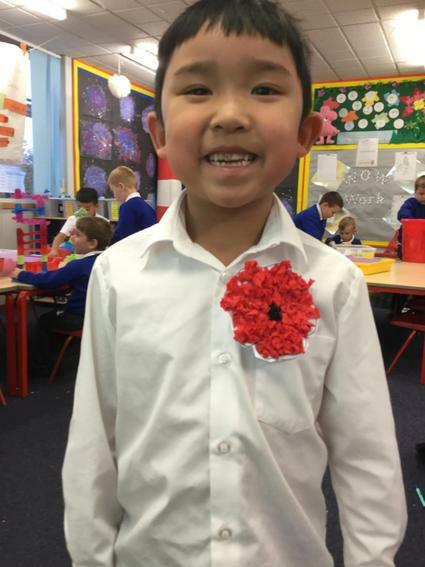 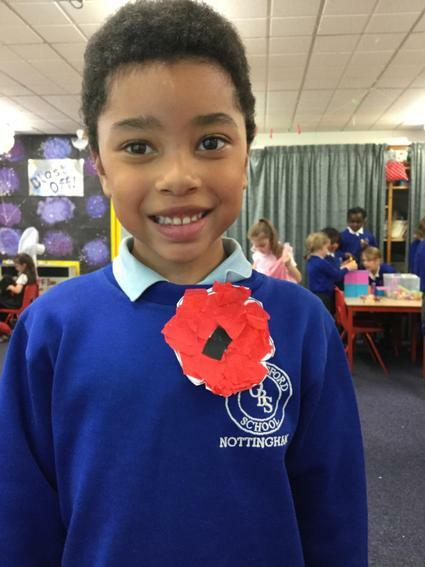 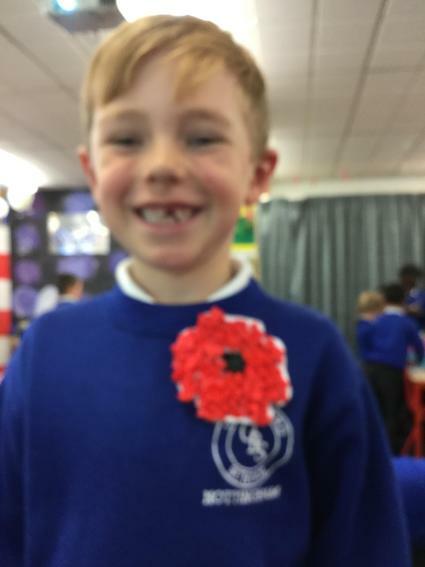 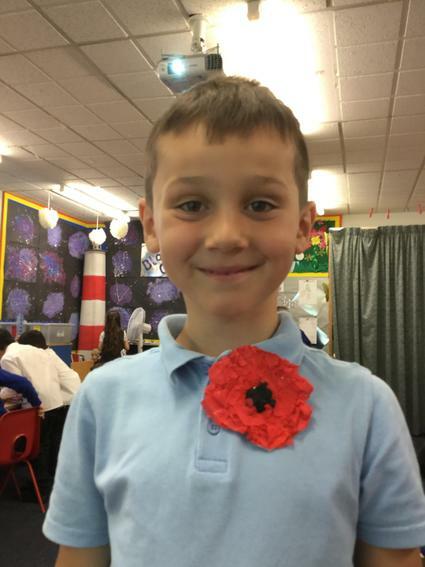 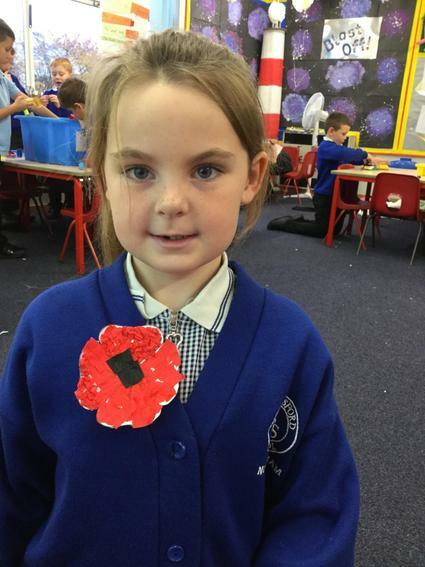 During the week, every child had made their own poppy from recycled plastic bottles. 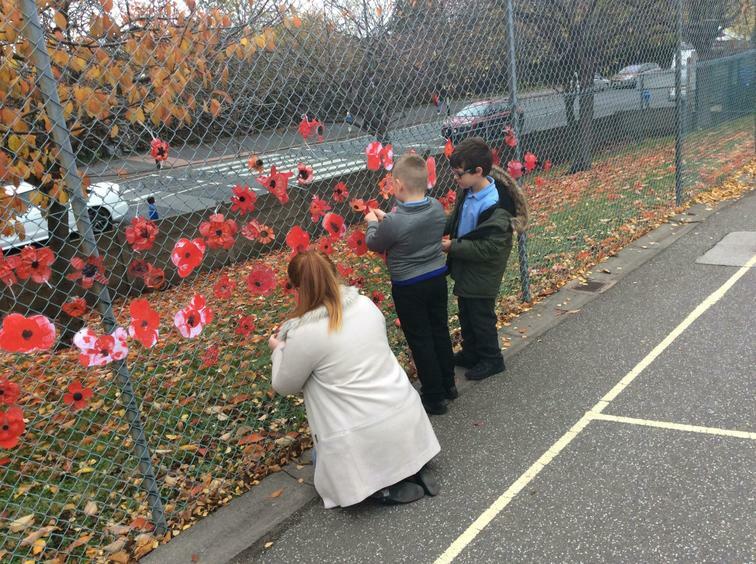 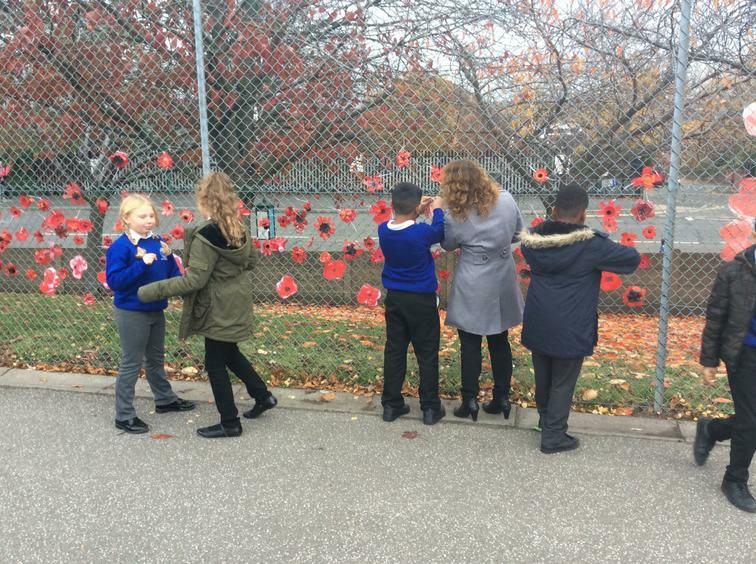 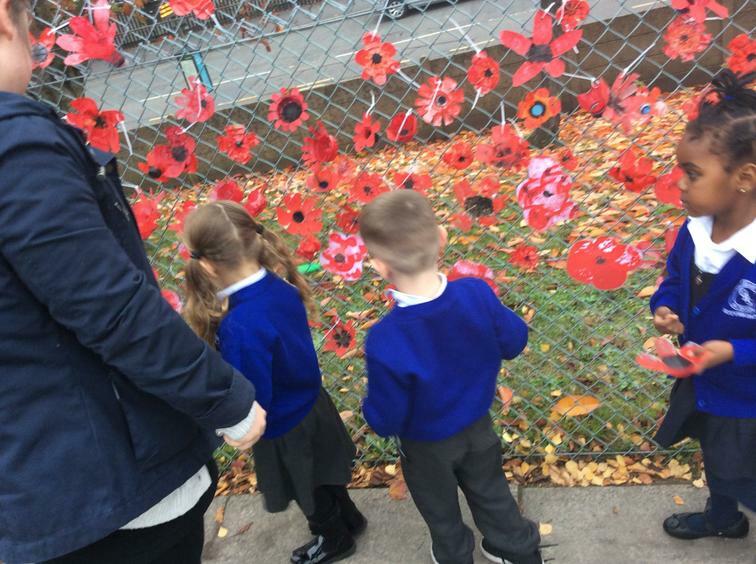 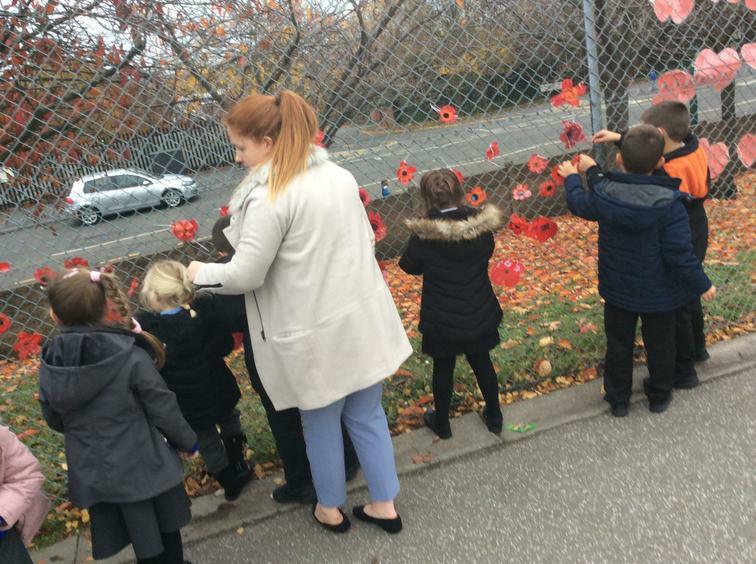 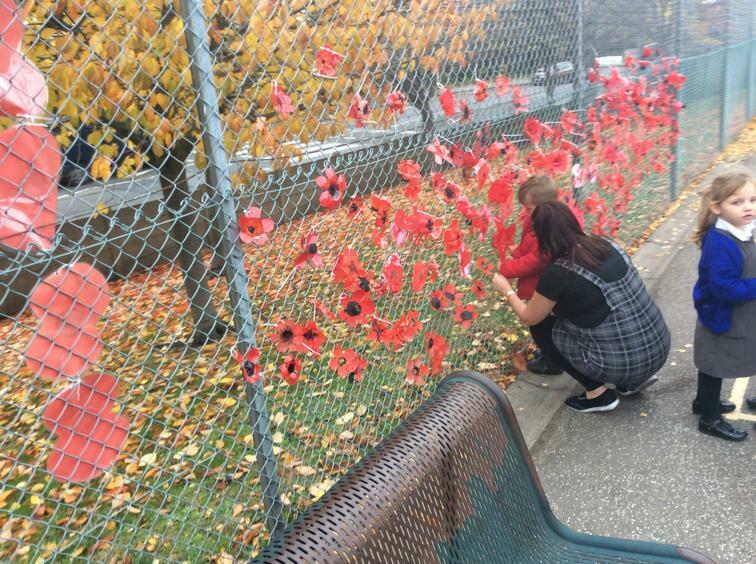 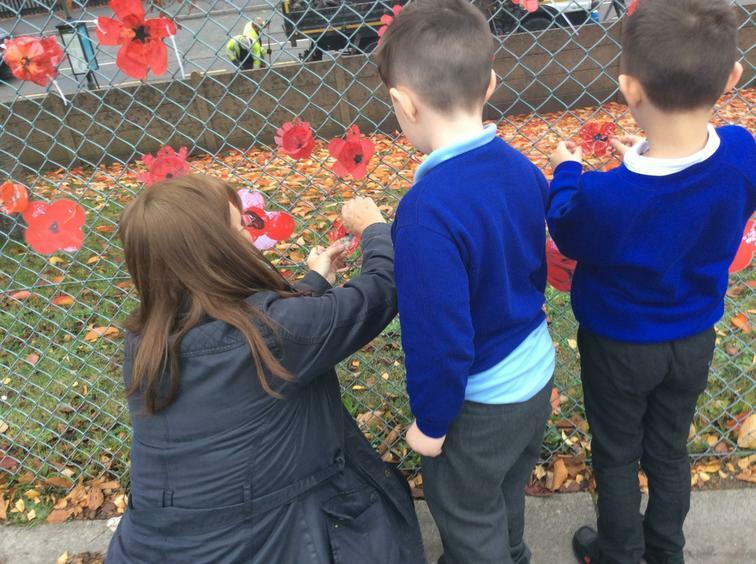 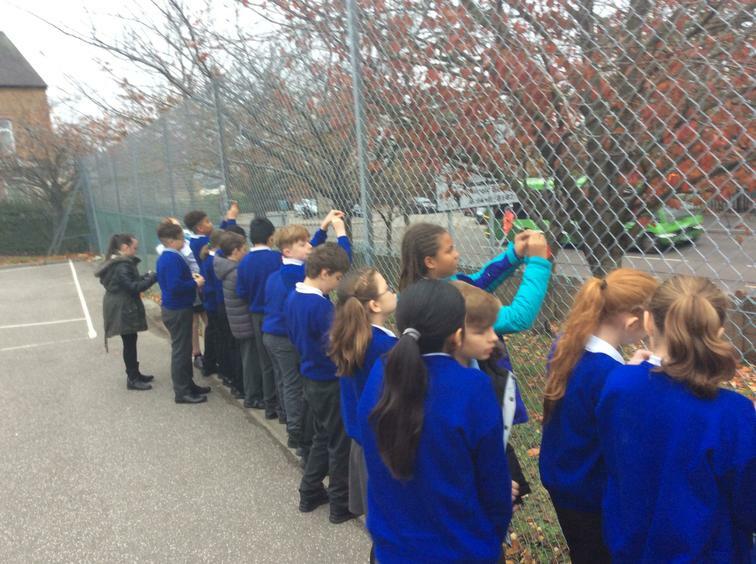 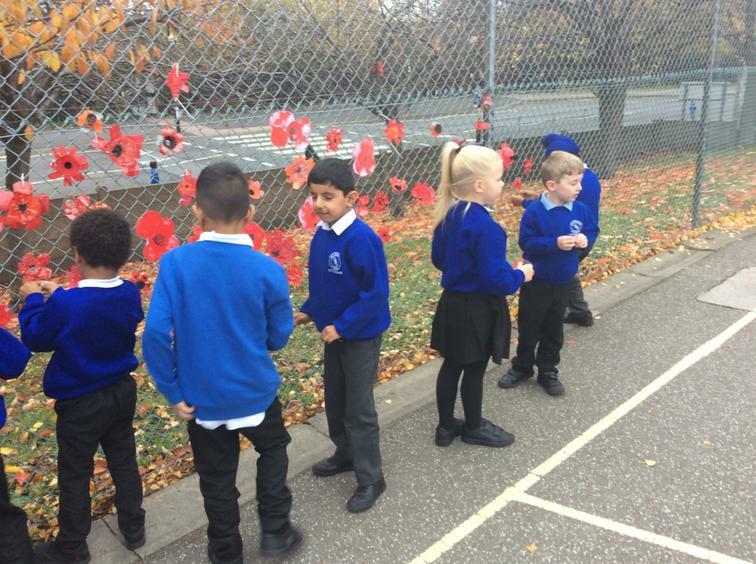 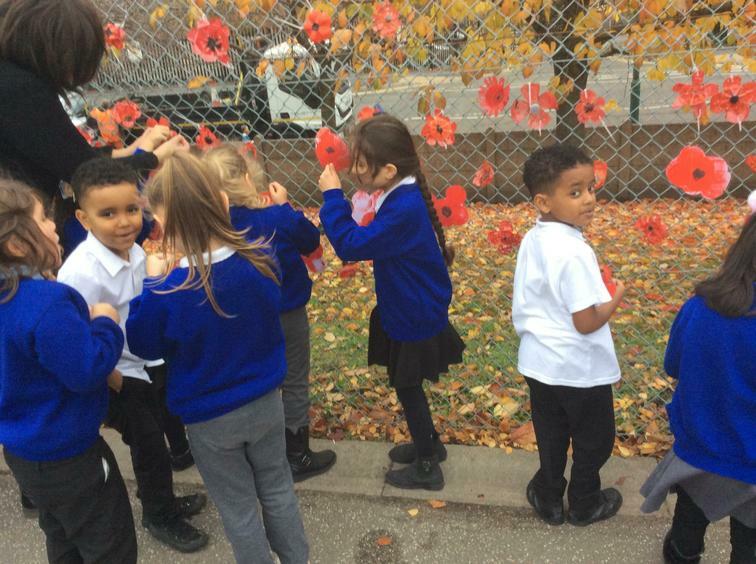 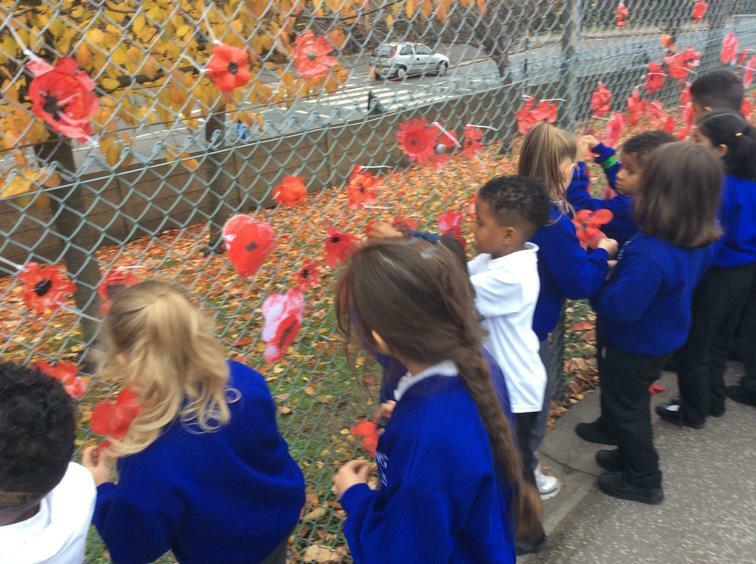 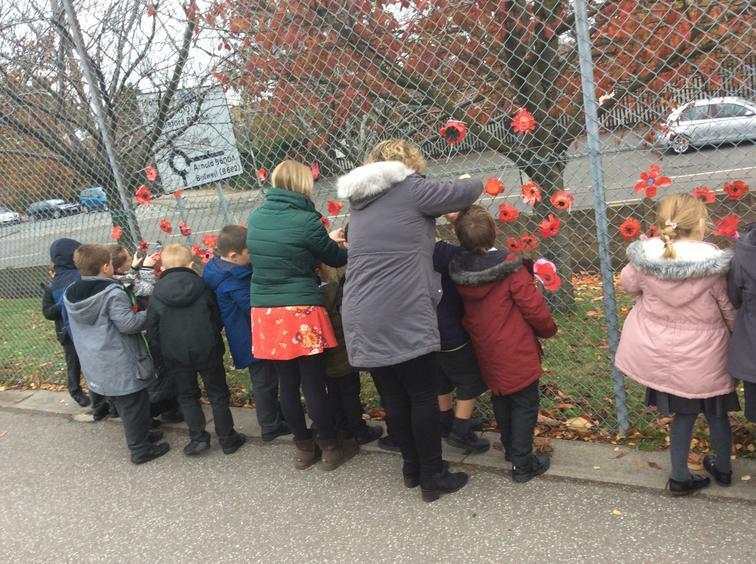 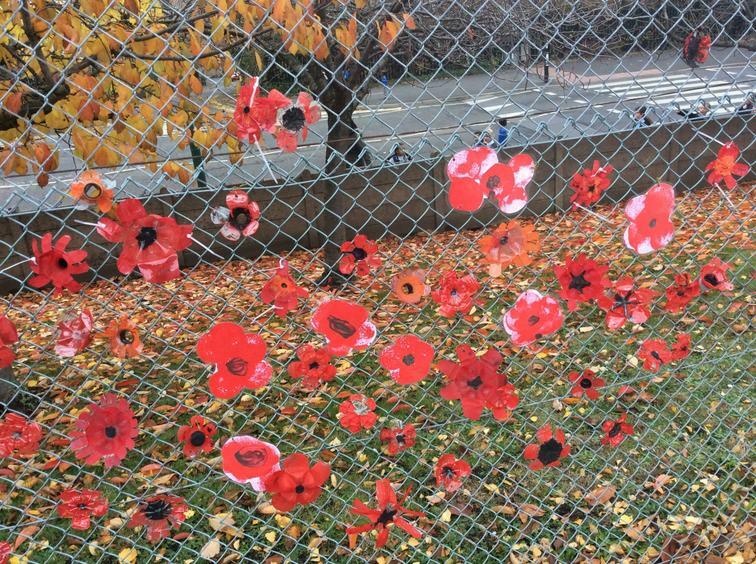 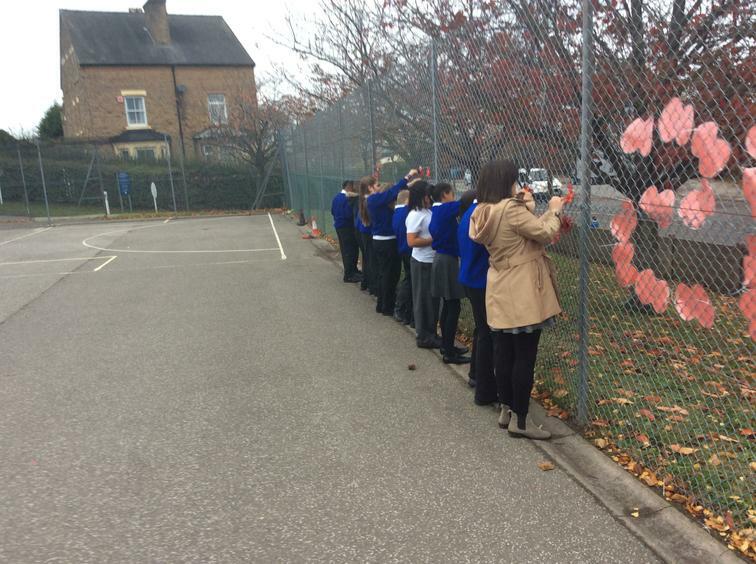 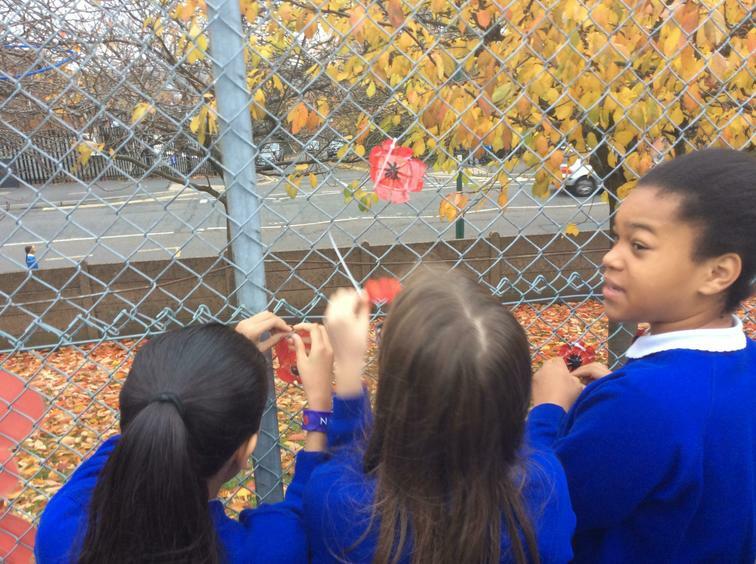 Then on Friday during the day each child attached their poppy to the school's fence to create own own 'poppy field'. 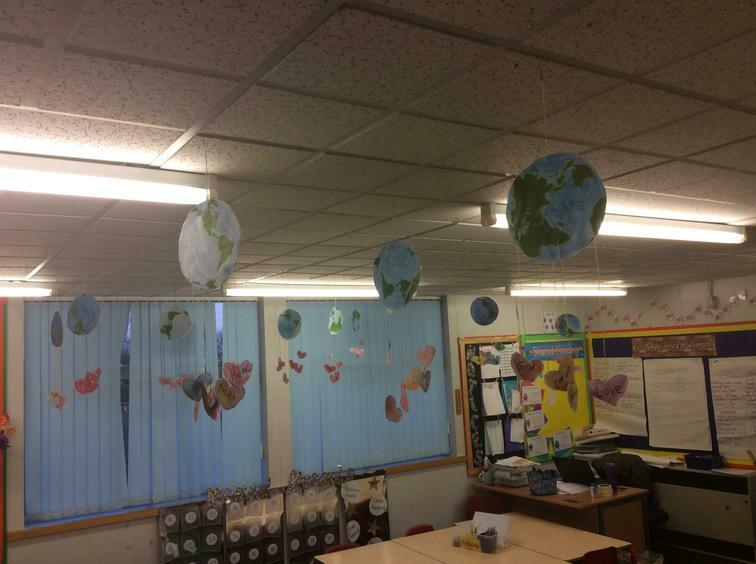 We were very proud of the finished effect. 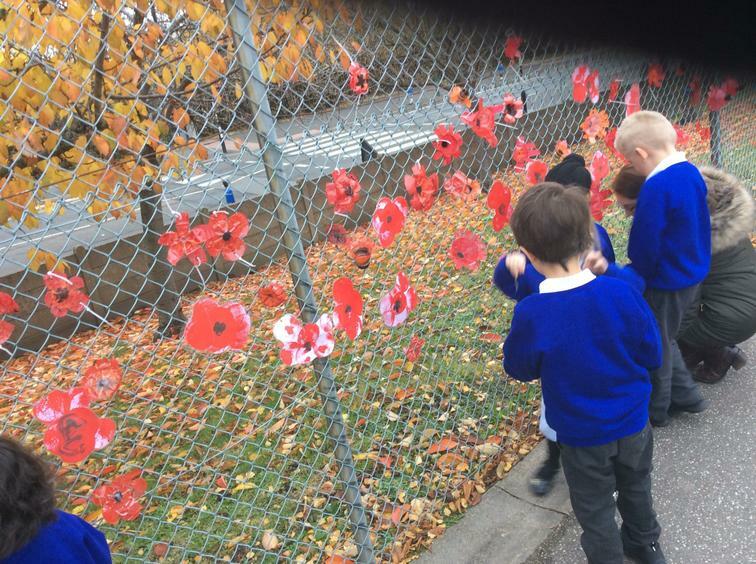 Then at 2.30 in the afternoon, the whole school congregated on the bottom playground to not only admire the 460 poppies on display, but to pay our repects to all the service men and women who served our country during World War 1 and all the conflicts since. 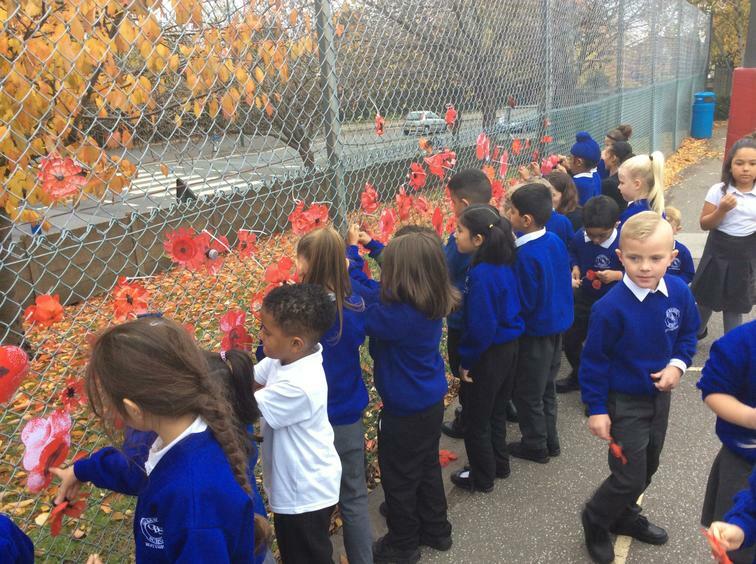 We listened to 'The Last Post' and then bowed our heads in silence for 2 minutes. 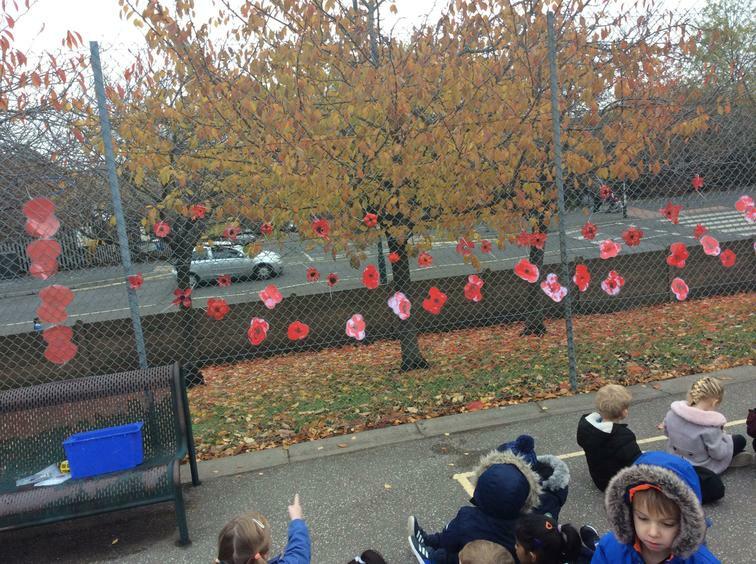 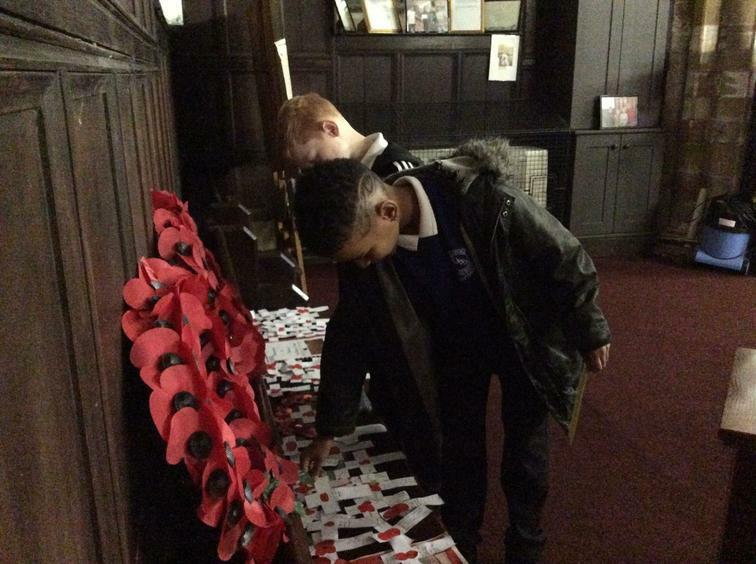 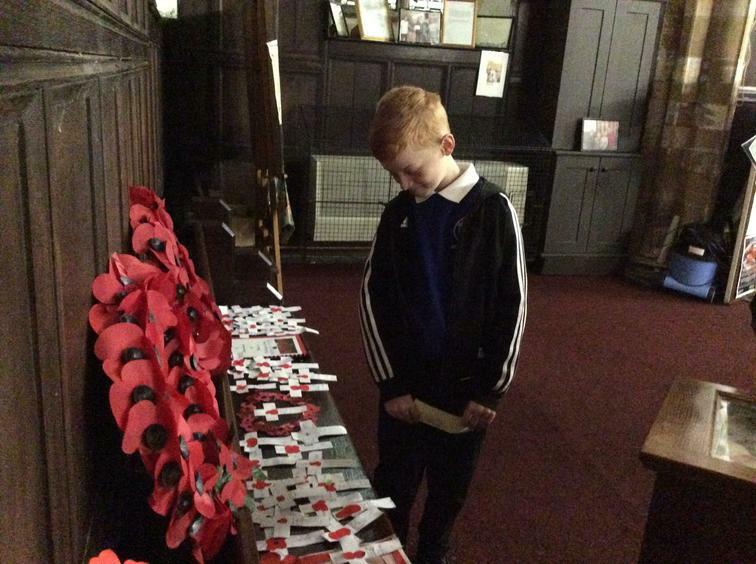 The children were extremely respectful and observed the silence impeccably. 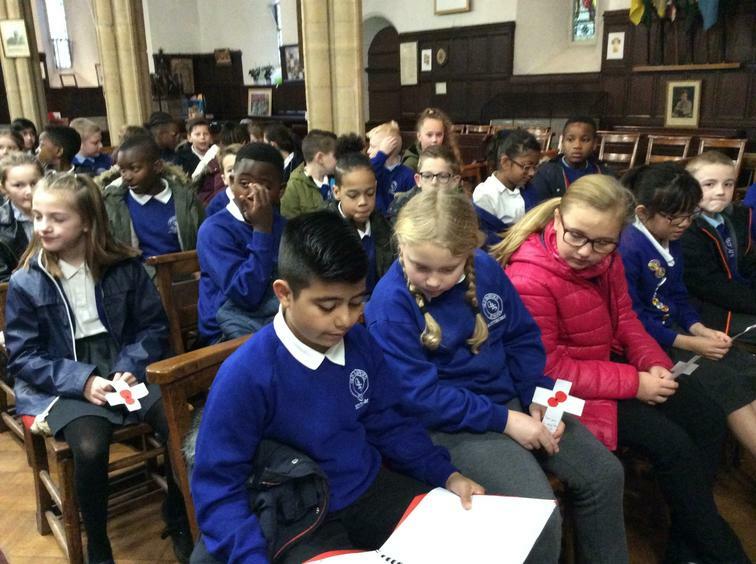 Afterwards we had a whole school assembly about Remembrance day lead by Mrs Thomas who was joined by Sara and Aaryan from Year 5 who read their poems inspired by John McCrae's 'In Flanders Fields'. 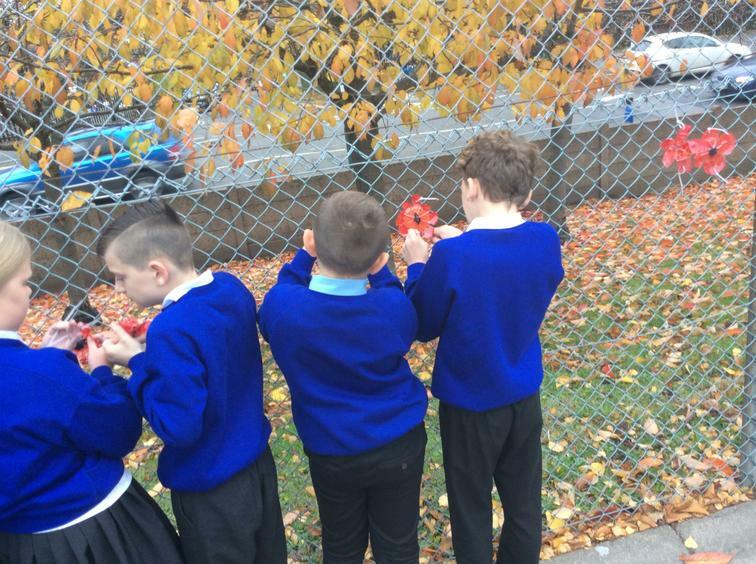 During the rest of the day, the childrfen were involved in a variety of different activities. 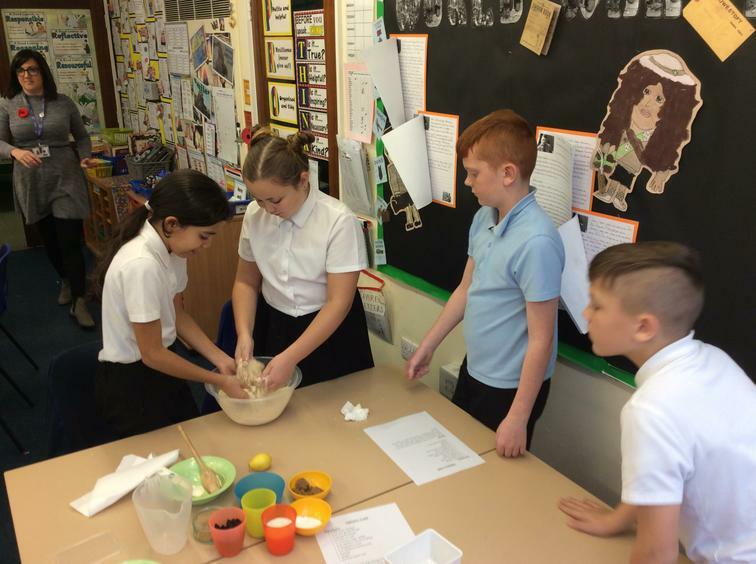 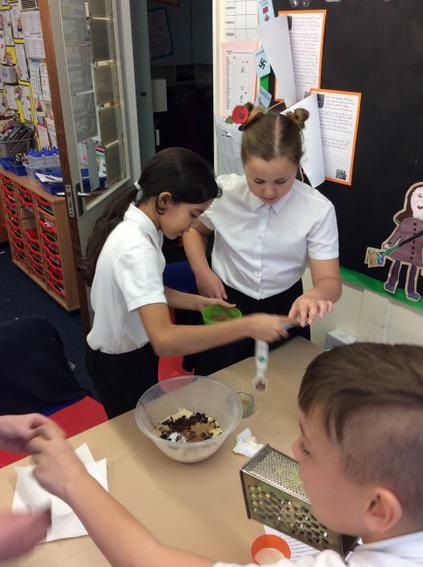 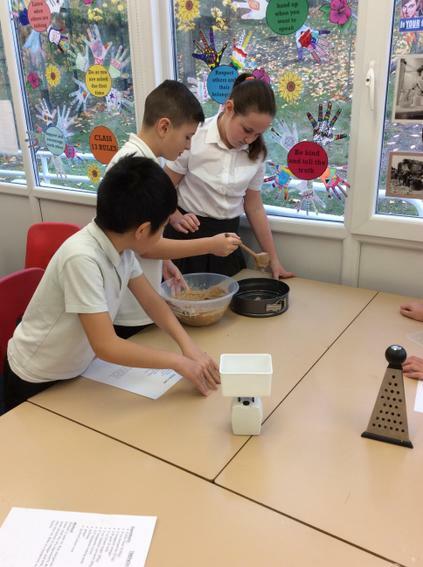 The Year 6 children made 'Trench Cake' which was a cake that women sent to their loved ones on the front line in the First World War. 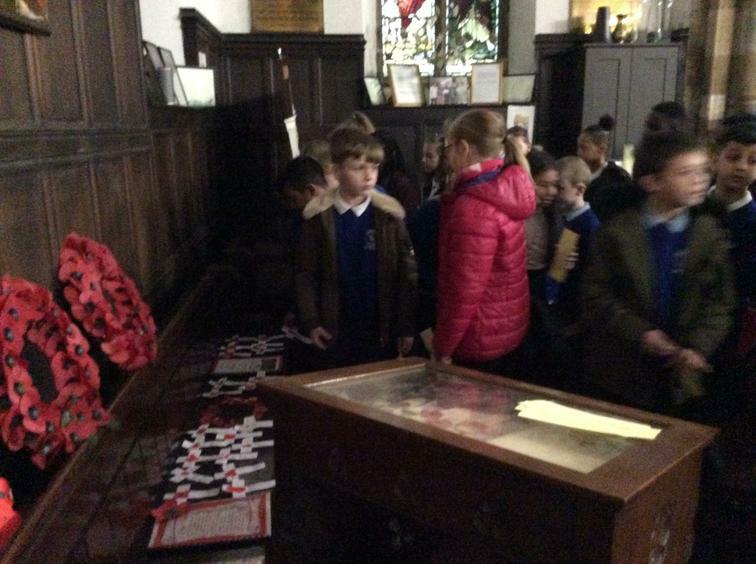 In the afternoon they said 'Thank You' to soldiers who had lost their lives through the website https://everyoneremembered.org/. 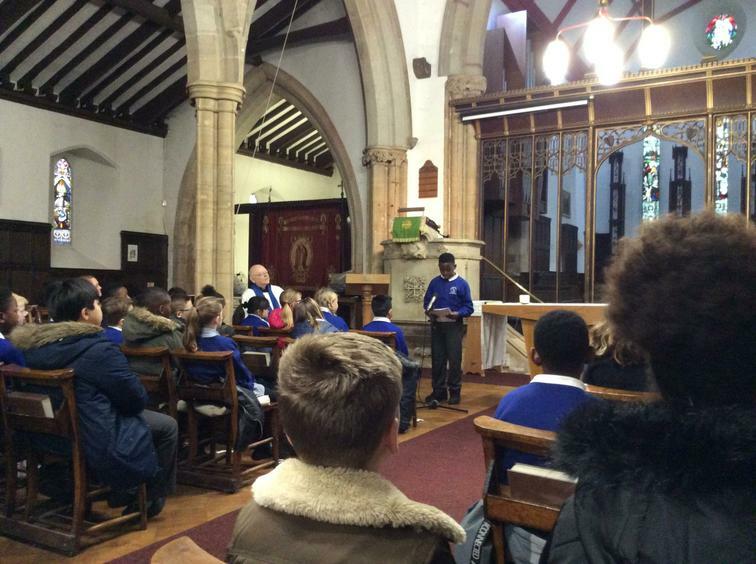 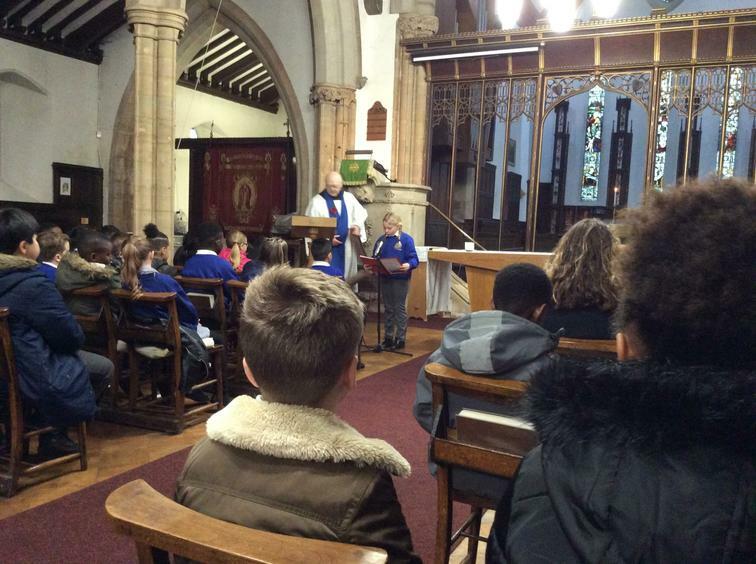 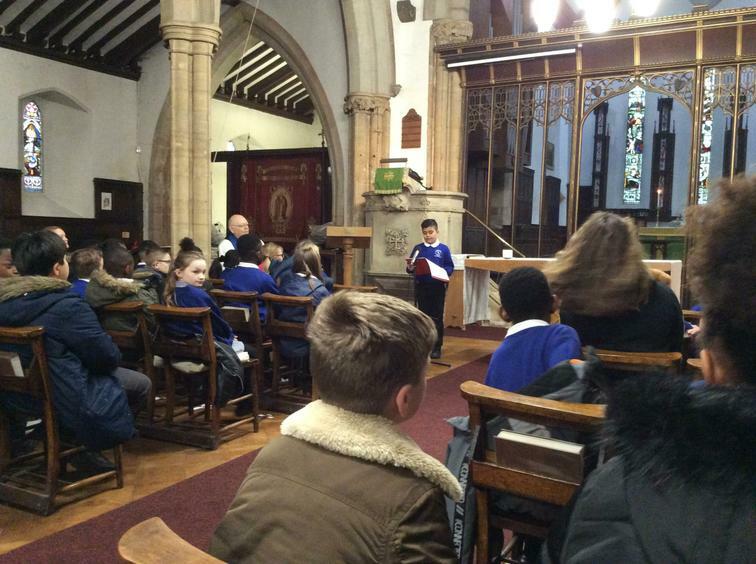 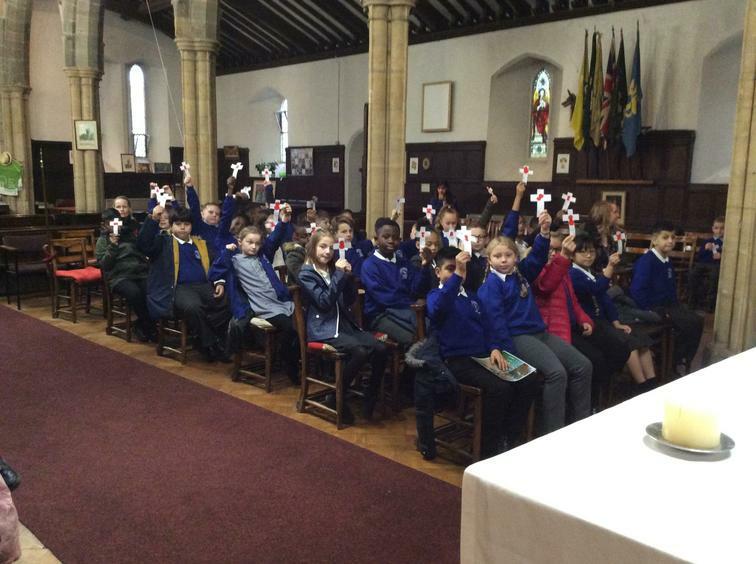 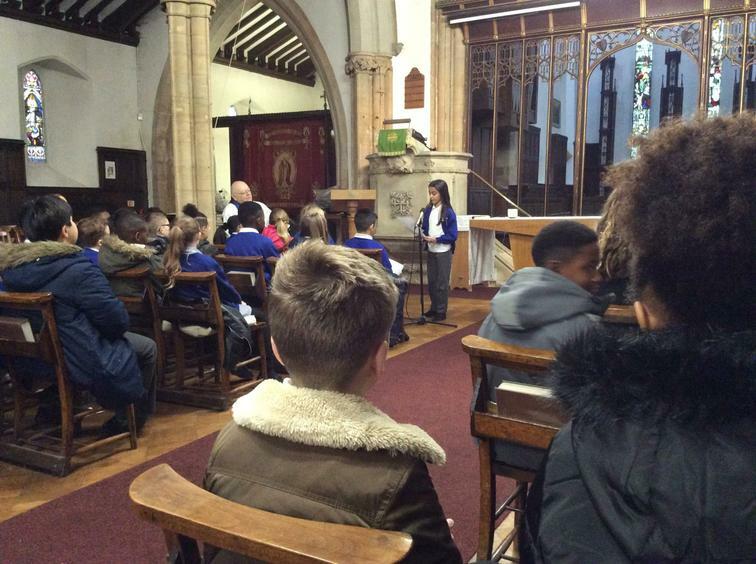 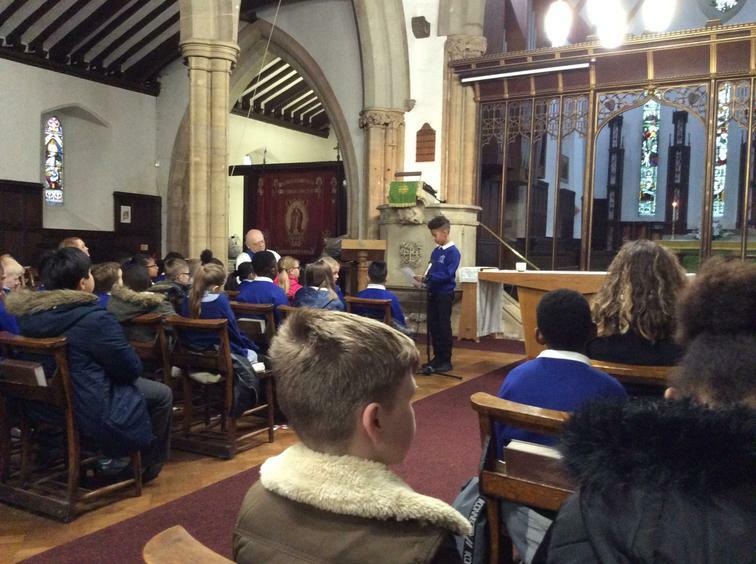 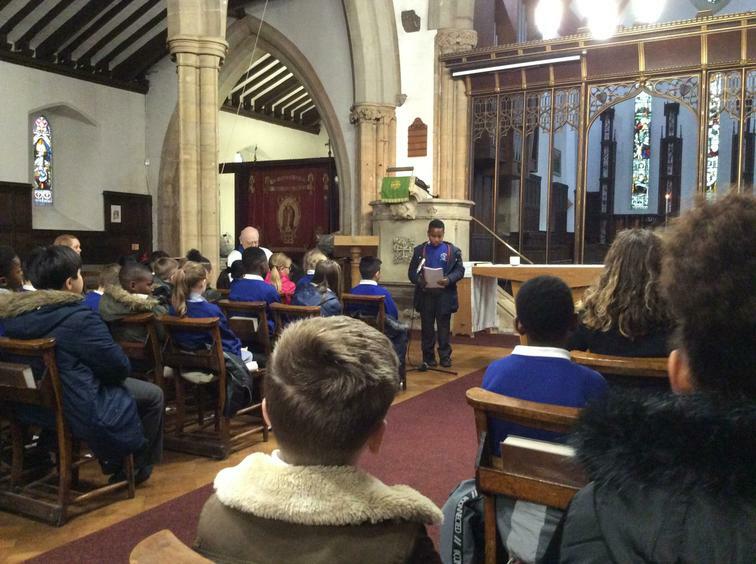 Year 5 visited St Leodegarius Church in Basford for a memorial service. 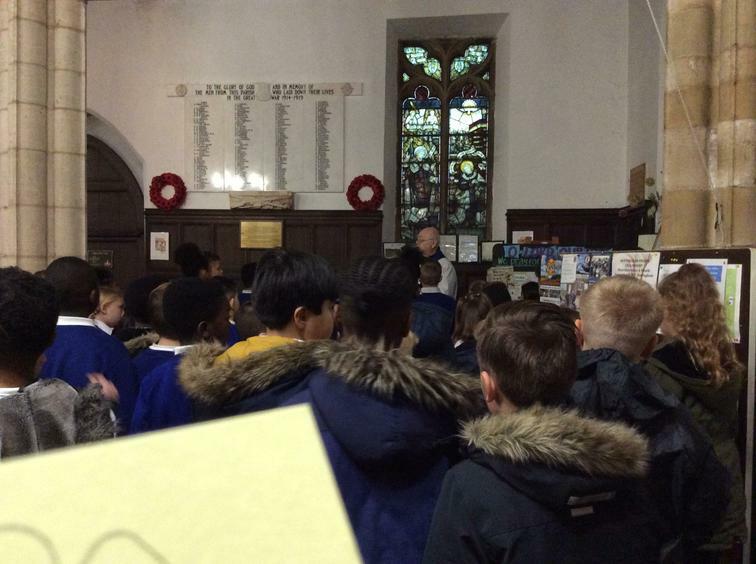 They also each received a specially created book of WW1 memories and thanks from Reverend Pile from Basford Road Baptist Church. 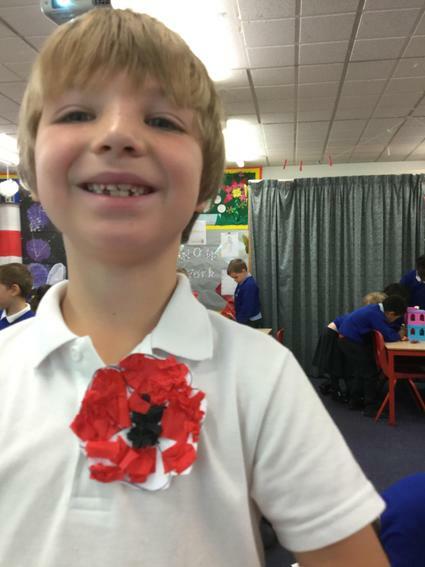 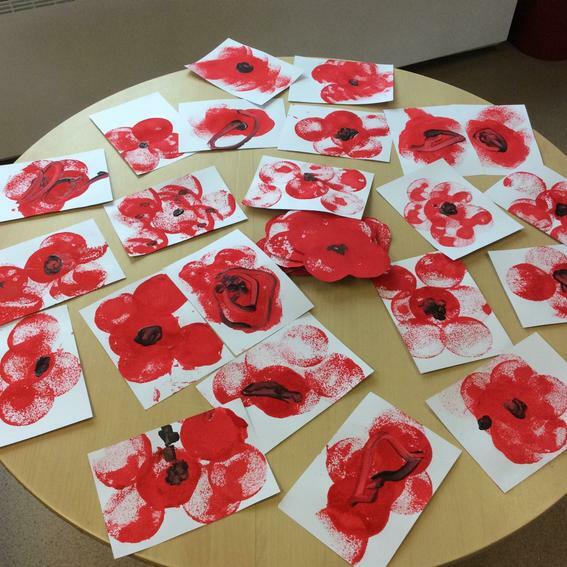 Other activities that took place during the day included writing and performing poems, looking at medals from around the world and locating them on a map, making poppies to wear and making poppy art. 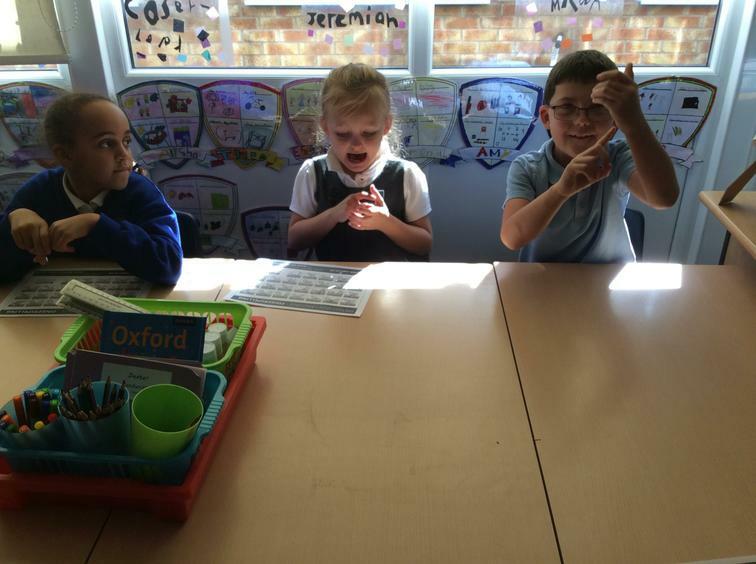 On Monday 24th September we had our first One Day Wonder of the year. 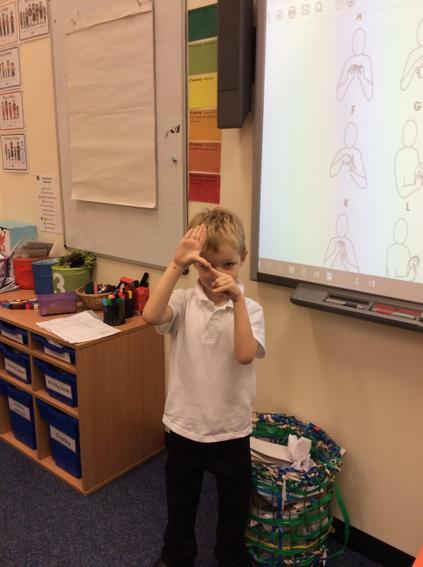 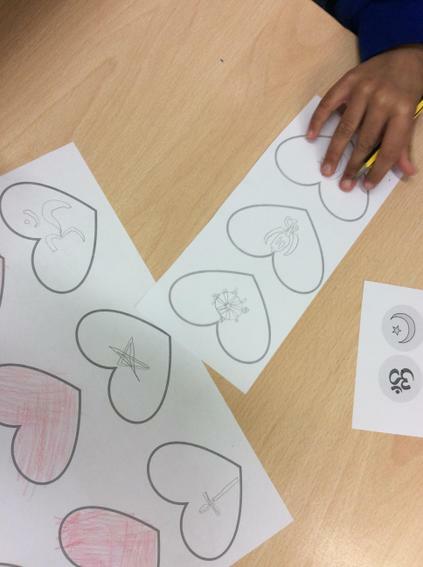 We enhanced our lessons during the day by introducing the children to British Sign Language and Makaton sign and symbols to help them communicate to a greater number of people. 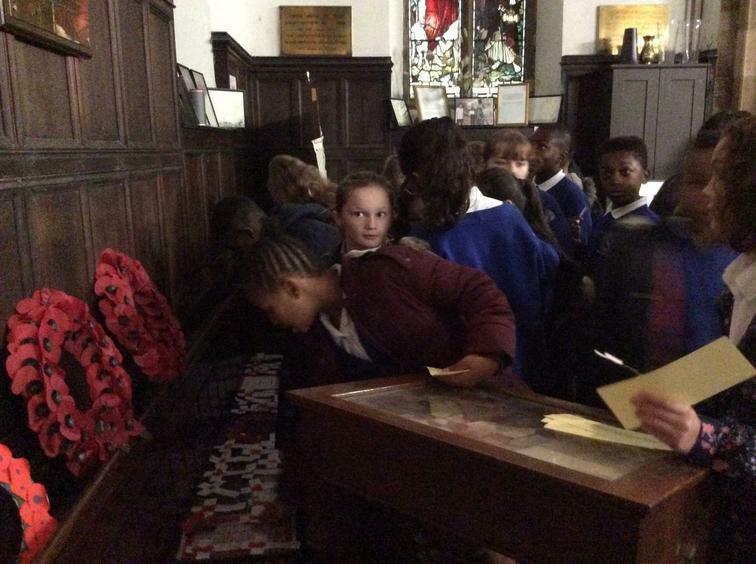 During register time the children signed good morning and asked for their colour (lunch) preference. 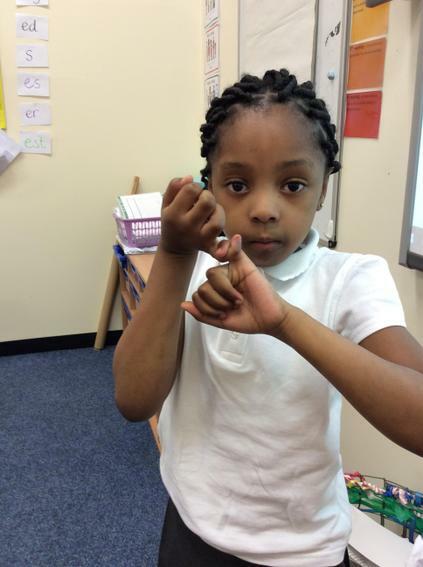 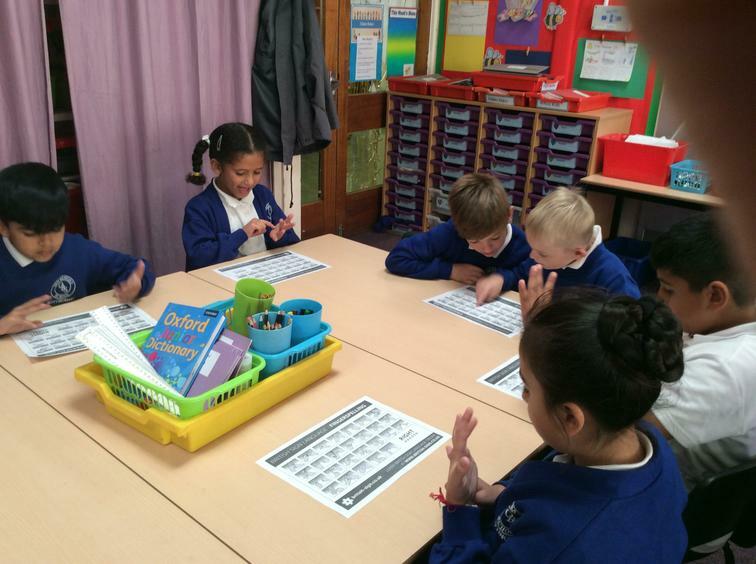 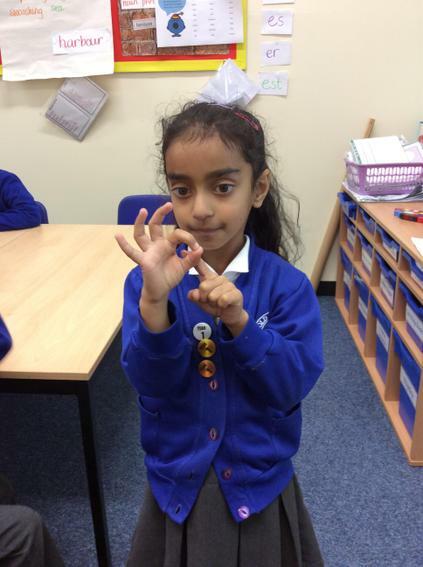 During Maths they learned to sign and count to 20. 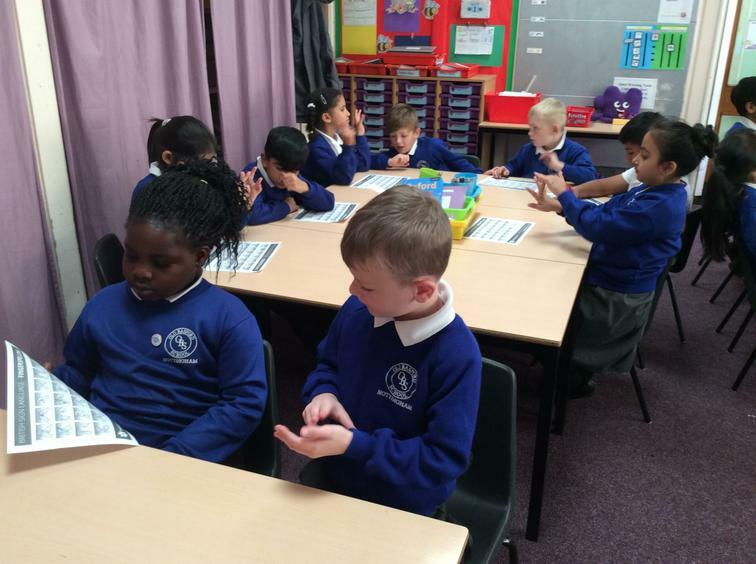 They learned the alphabet and how to introduce themselves in Literacy and in Shared Reading asked each other questions using the signs for who, what, where, why, when and how. 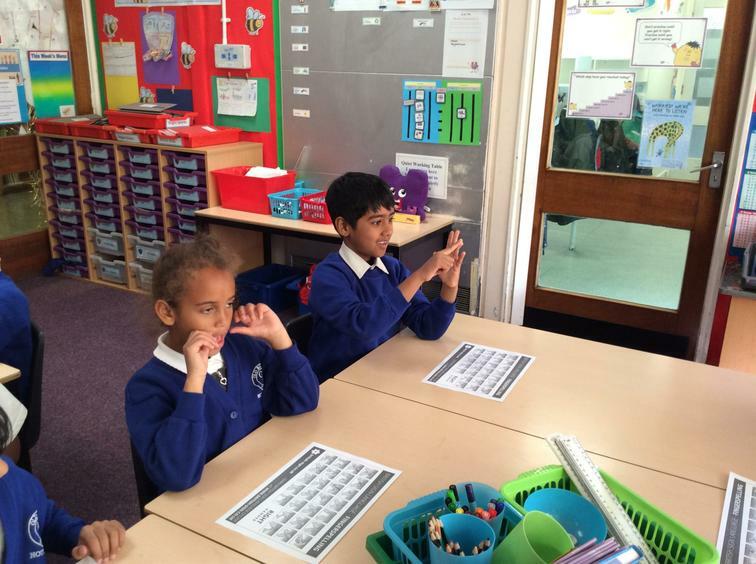 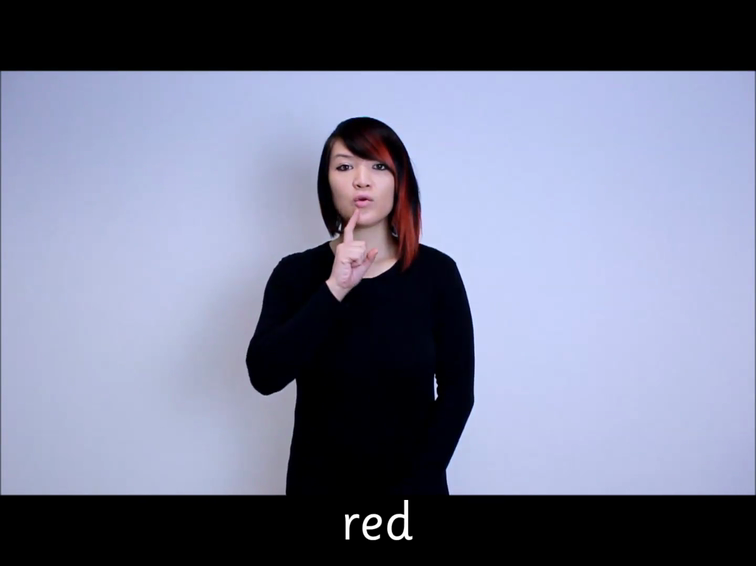 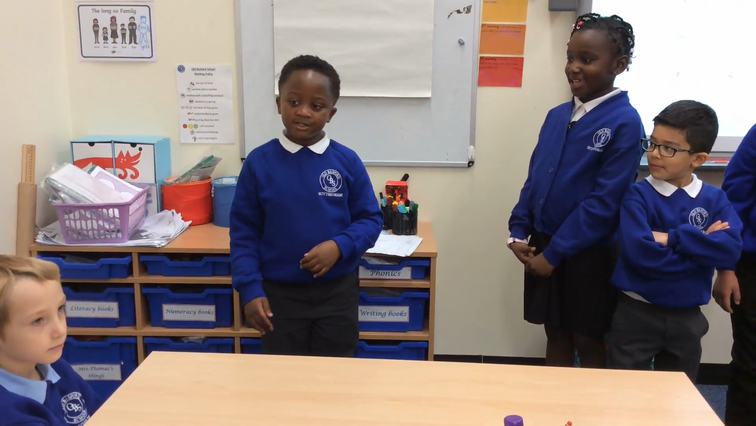 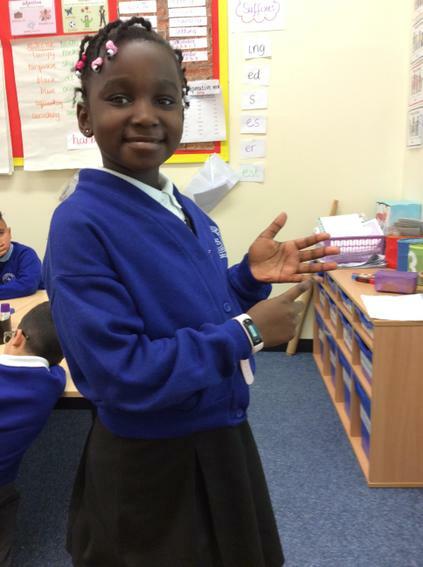 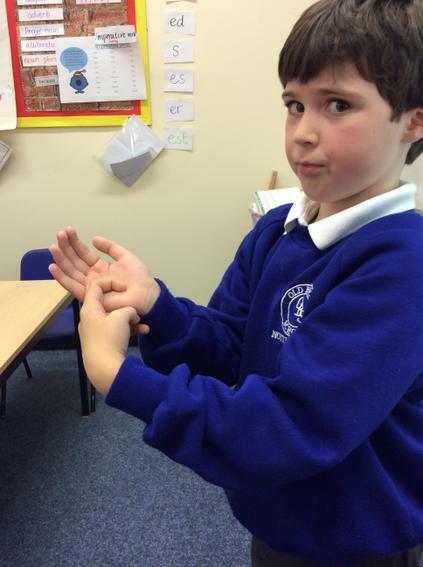 Year 4 learned simple songs using sign language Year 2 used the Makaton symbols to enhance a PSHE lesson. 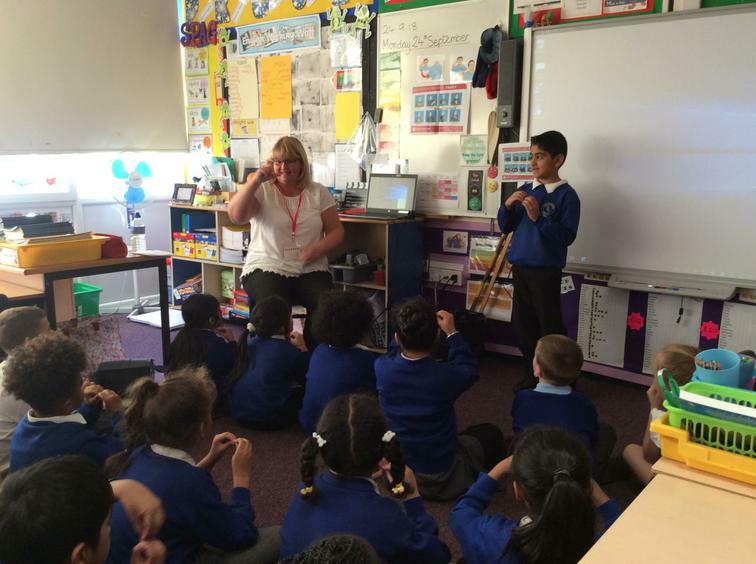 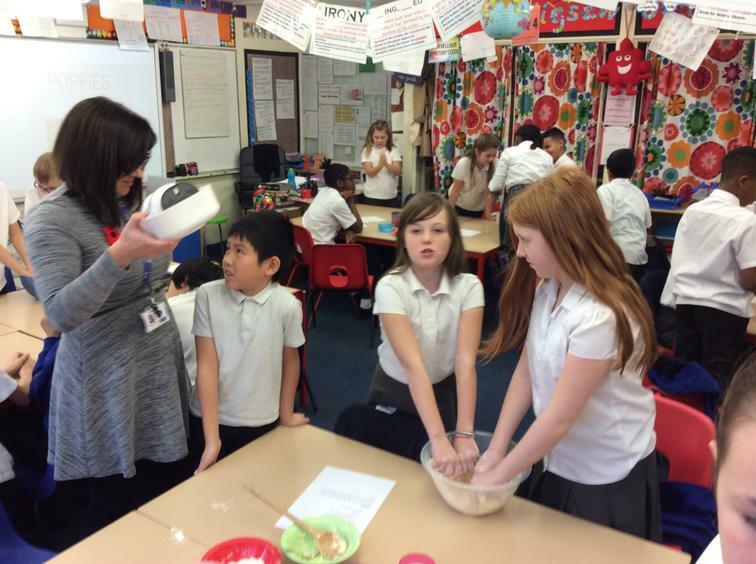 Year 3 were very lucky to be taught by Mr Burrows' mum who is actually a teacher of the deaf. 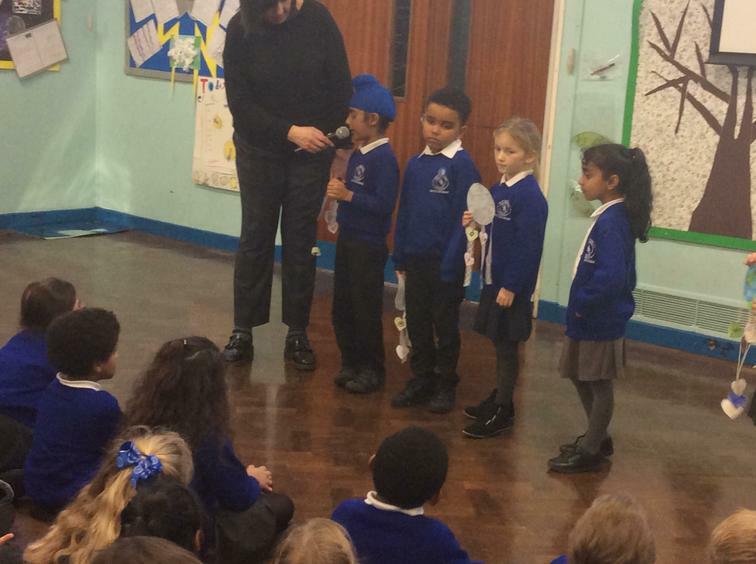 In assembly the whole school lelped Mrs Thomas to tell the story of Goldilocks and the Three Bears. 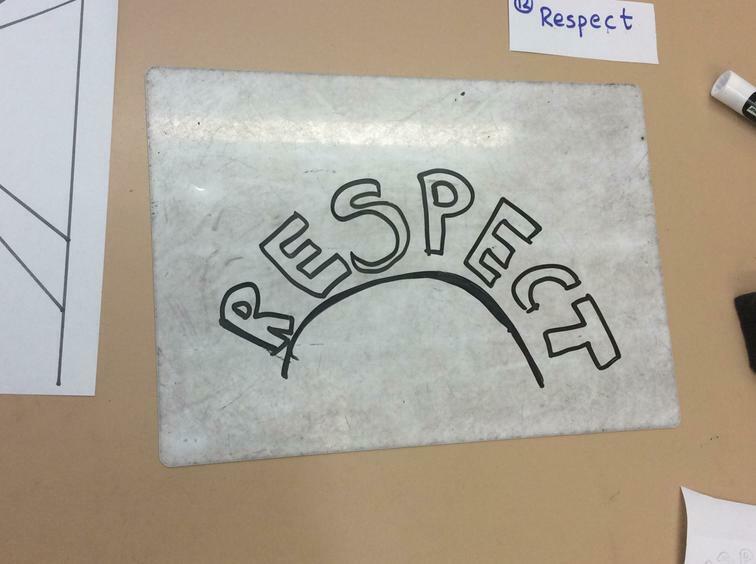 If you would like to practise these signs please follow the links below. 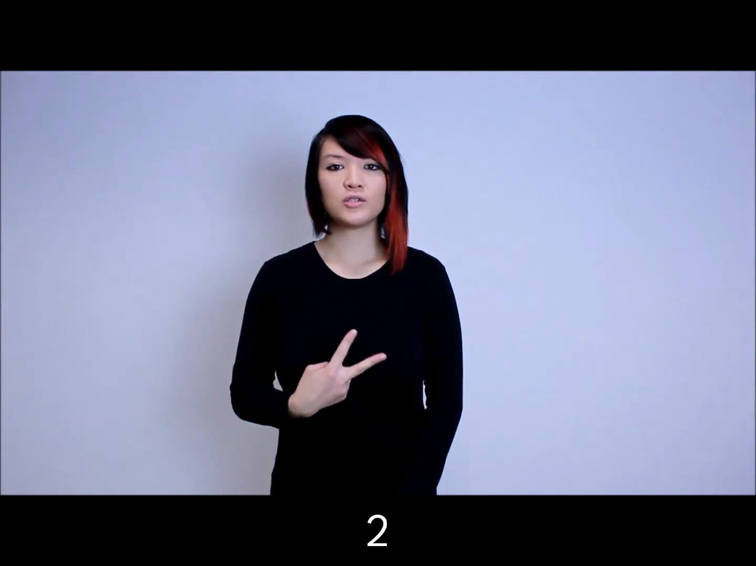 How to sign numbers to 20.